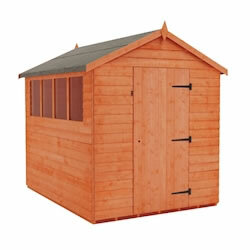 The Tiger Shiplap Apex wooden shed is one of Tiger Sheds more prominent and popular products. 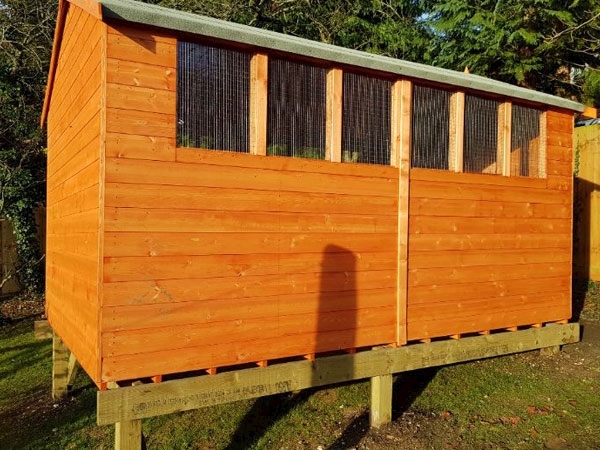 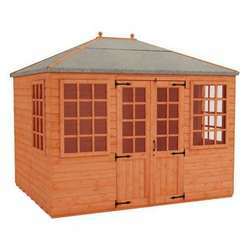 Its classic design makes it one of the most popular garden buildings in the UK. 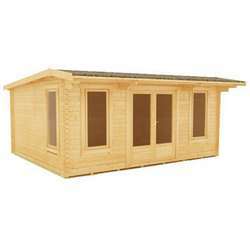 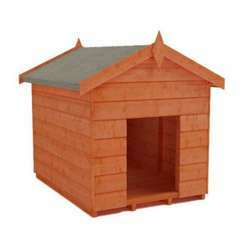 The Tiger Shiplap Apex shed is one of Tiger Sheds more prominent and popular products. 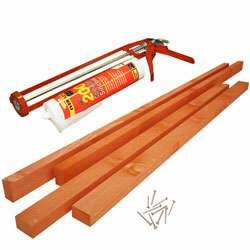 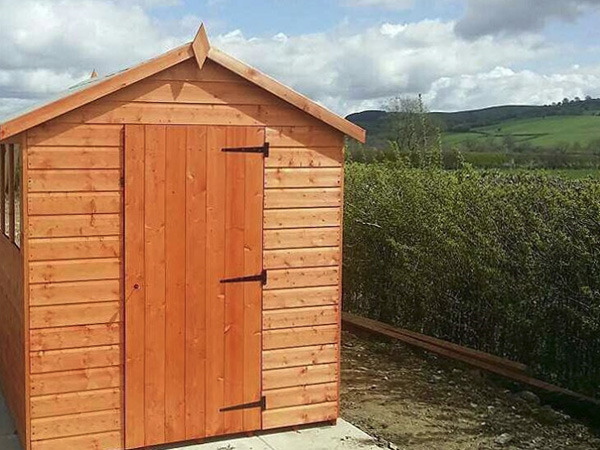 One fundamental reason for it being our bestseller comes from its superior grade tongue and groove shiplap cladding. 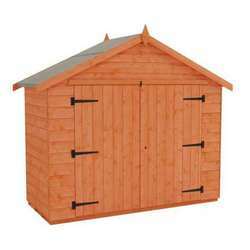 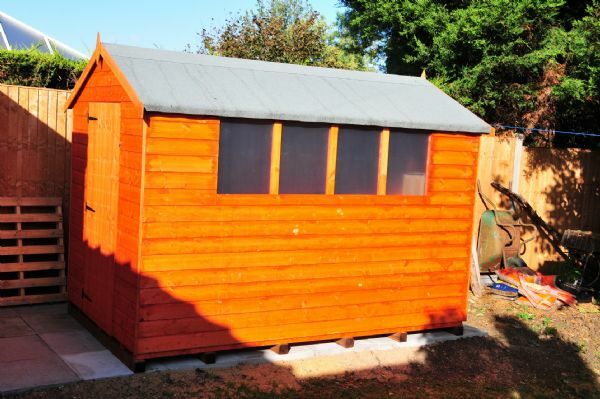 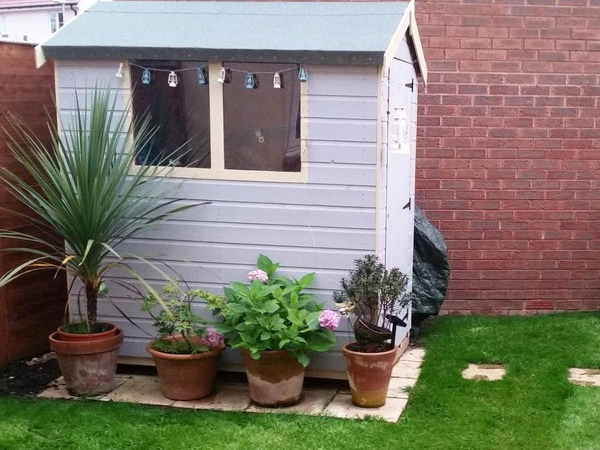 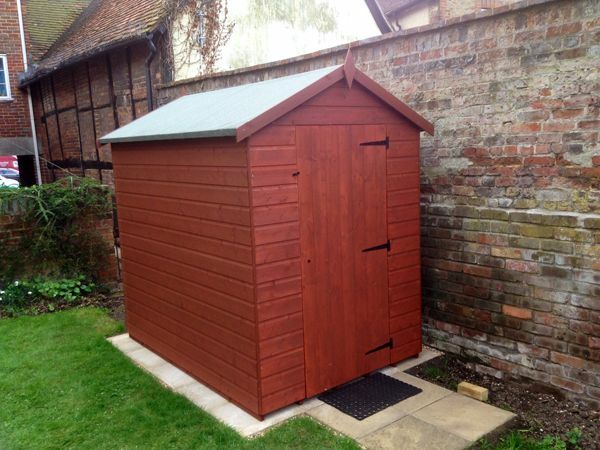 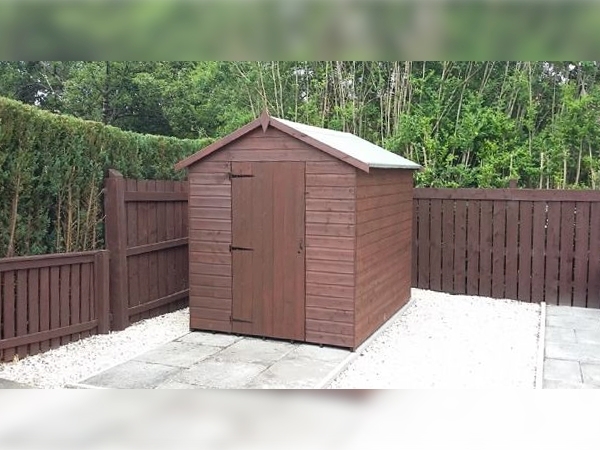 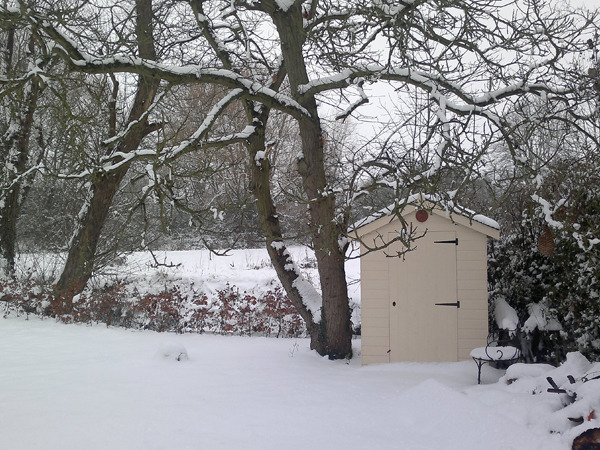 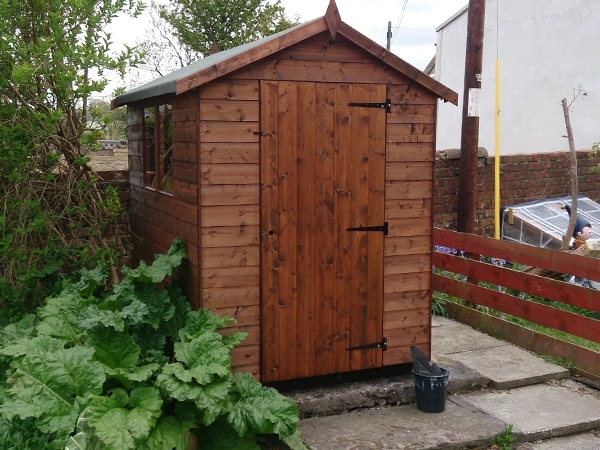 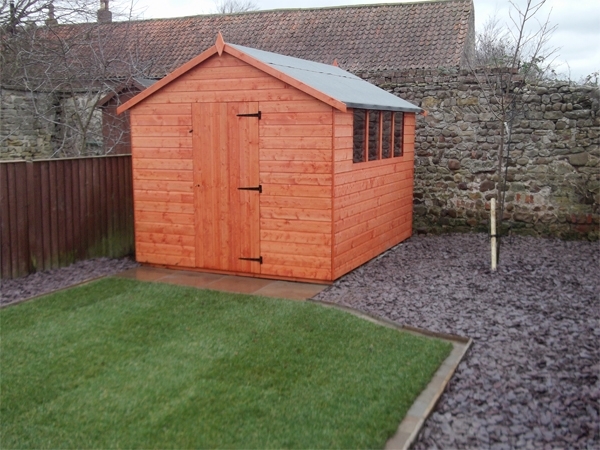 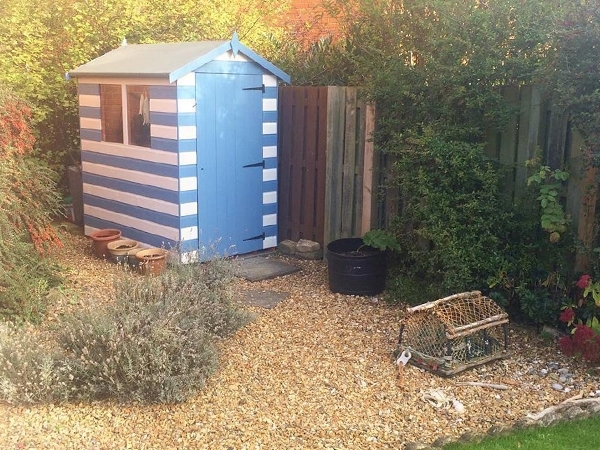 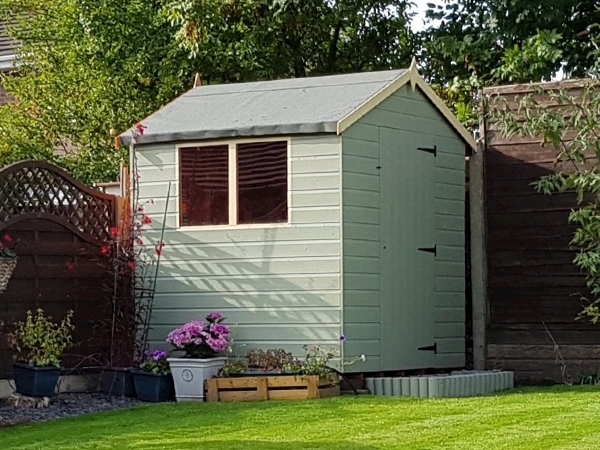 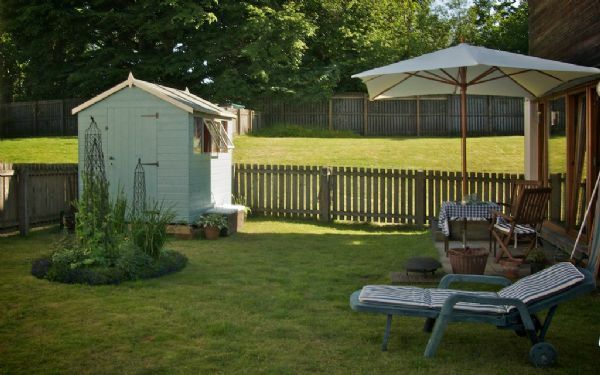 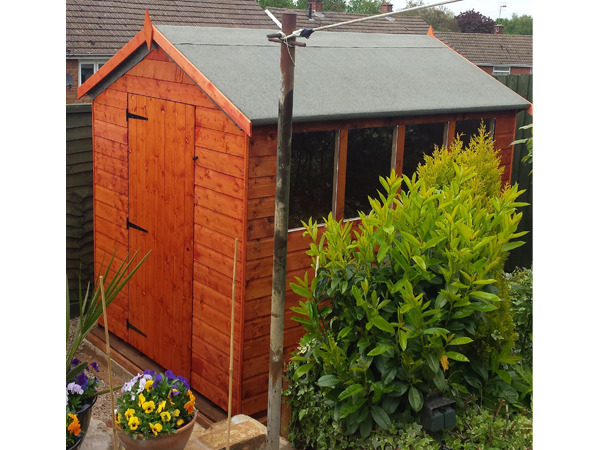 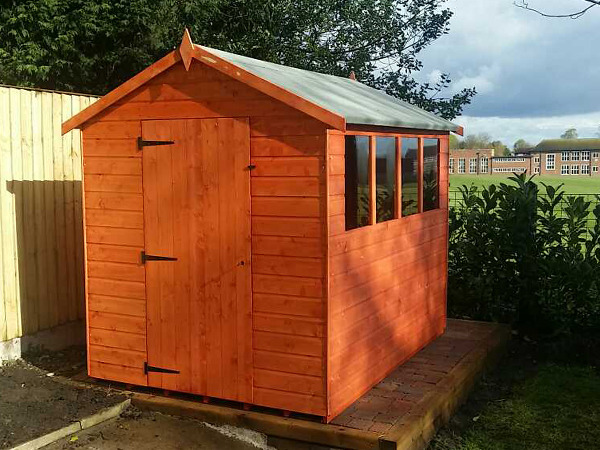 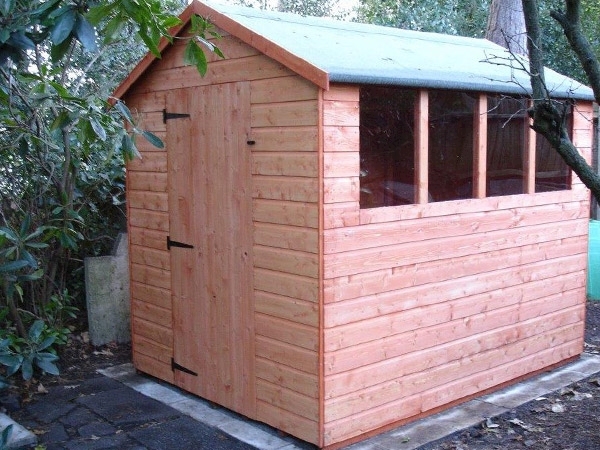 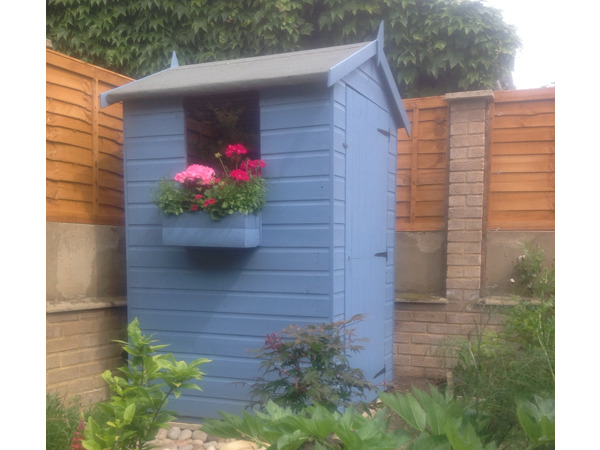 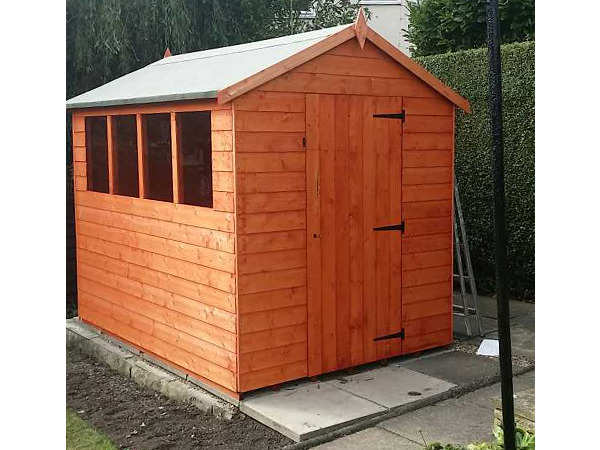 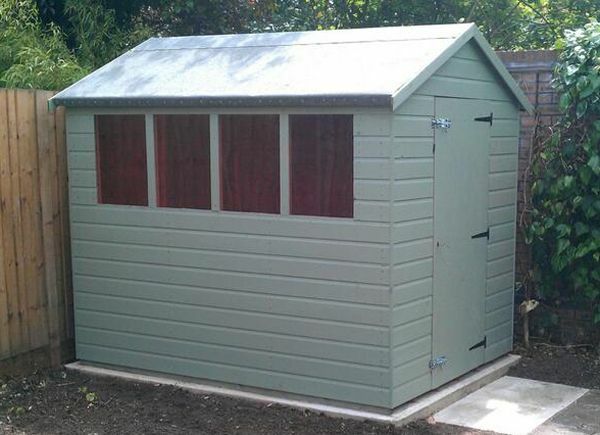 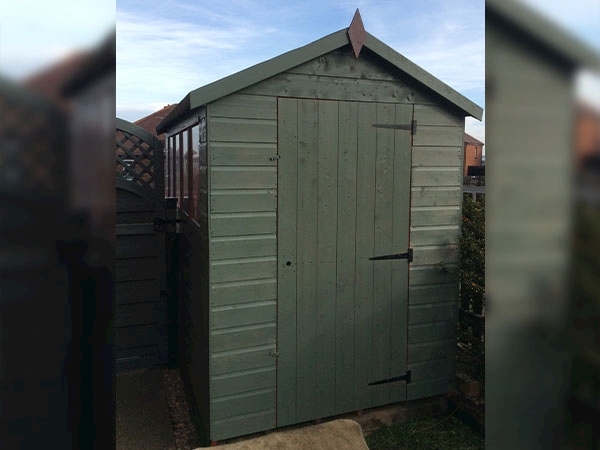 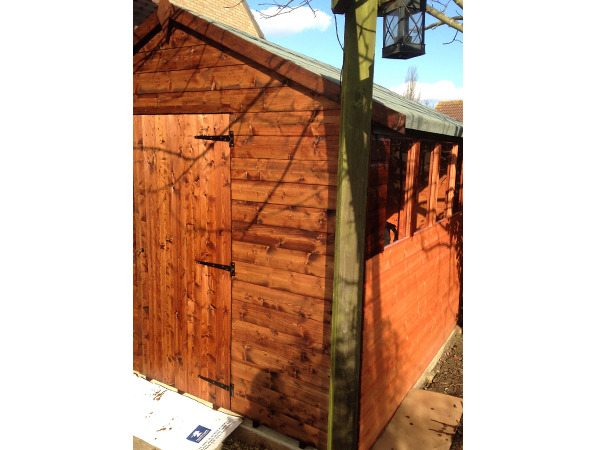 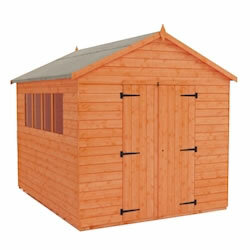 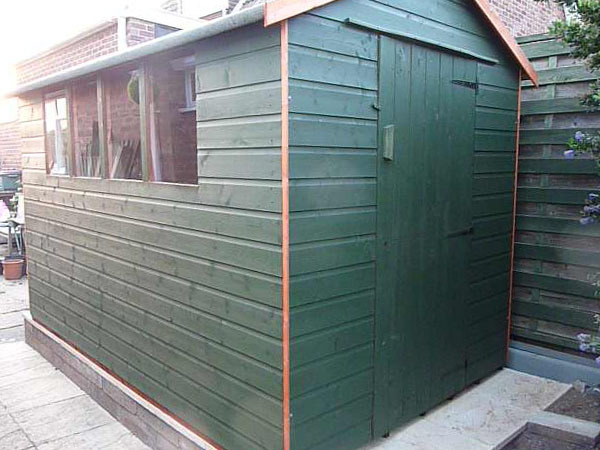 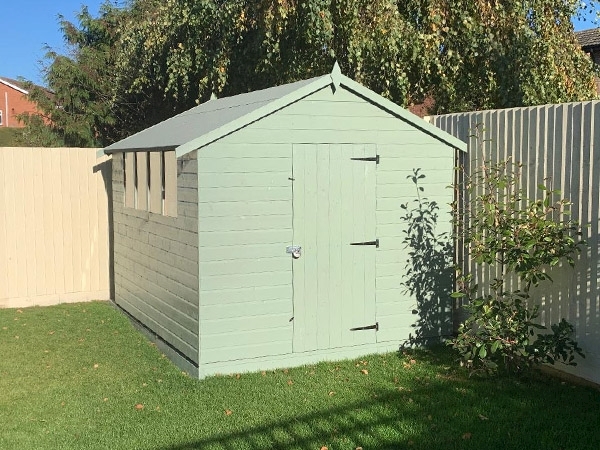 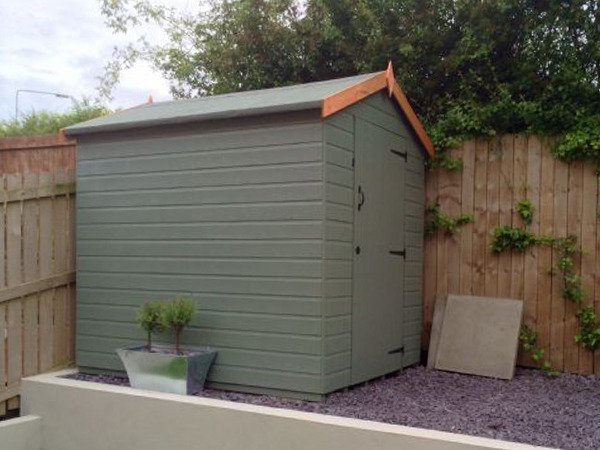 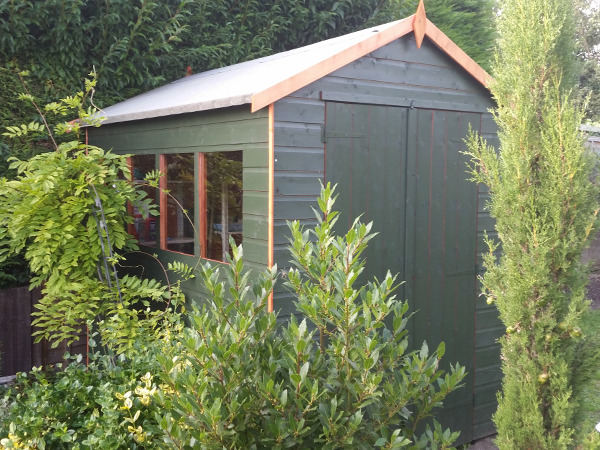 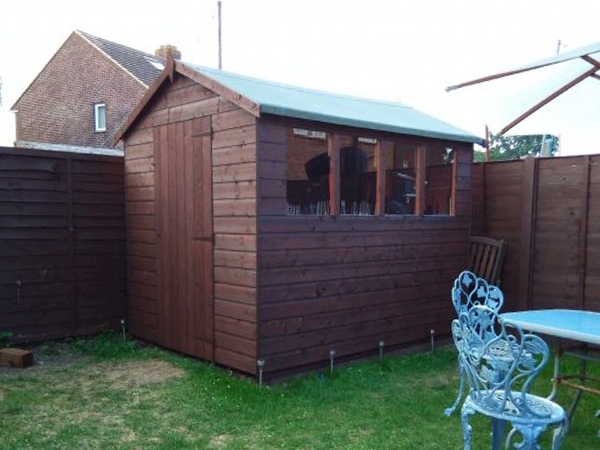 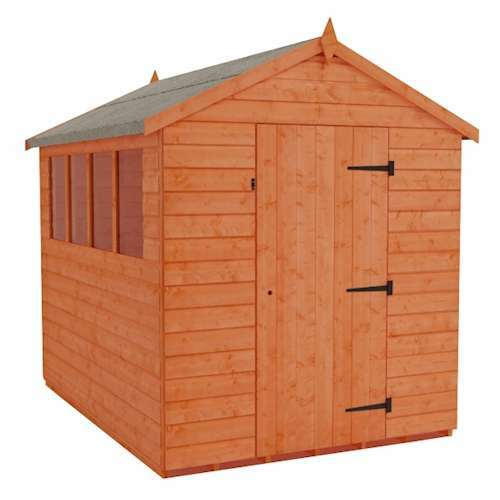 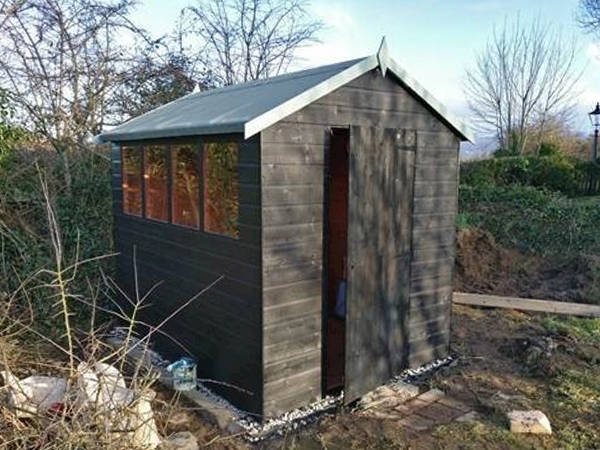 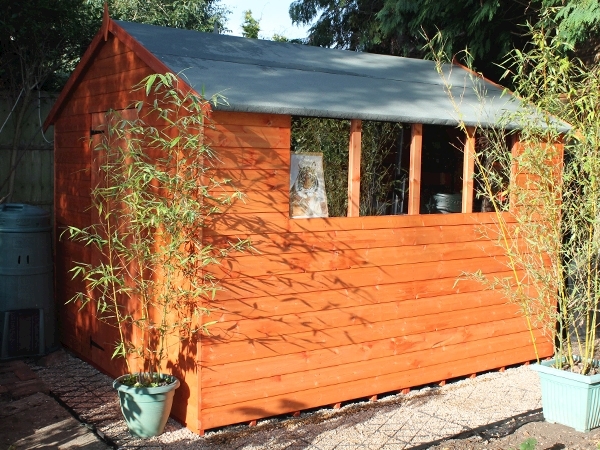 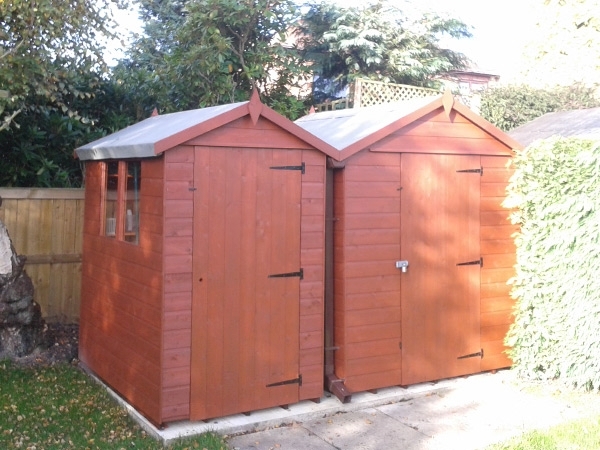 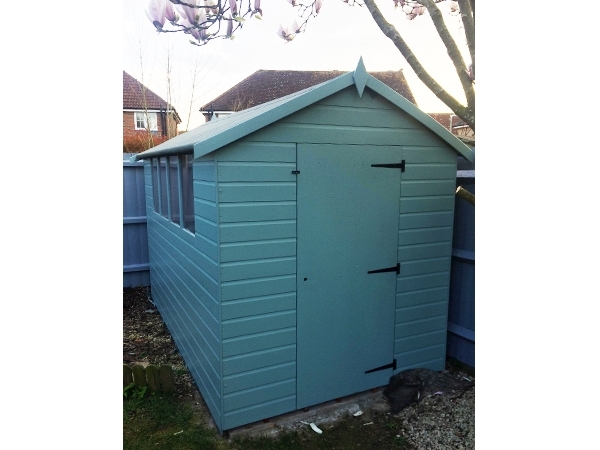 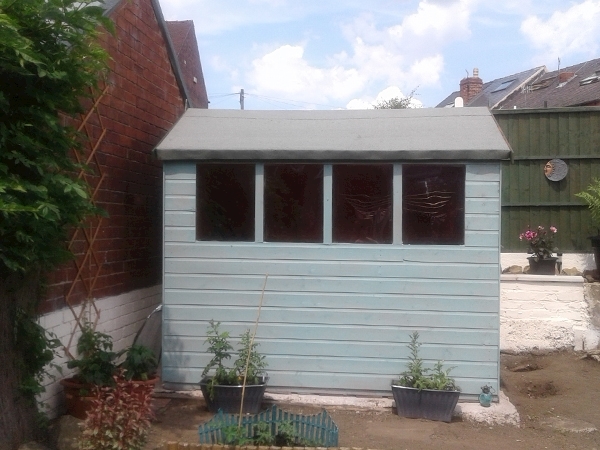 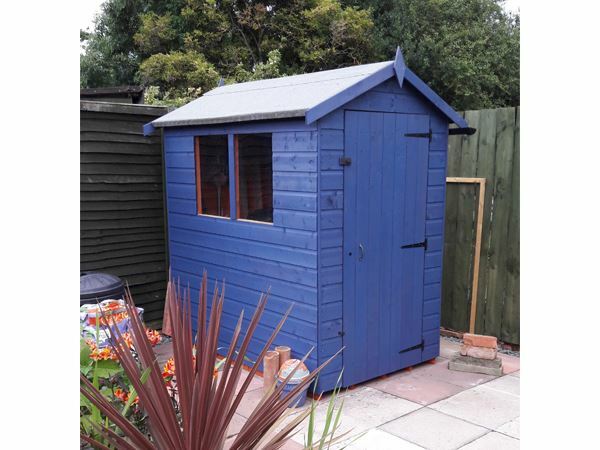 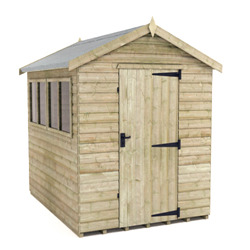 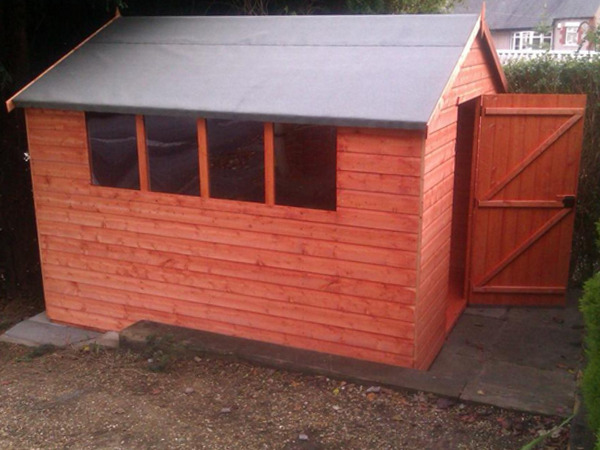 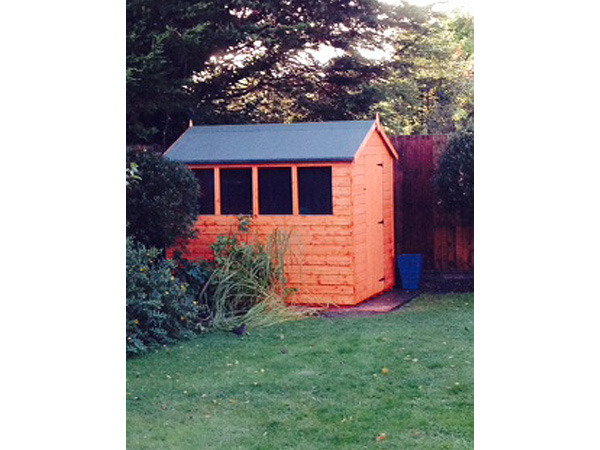 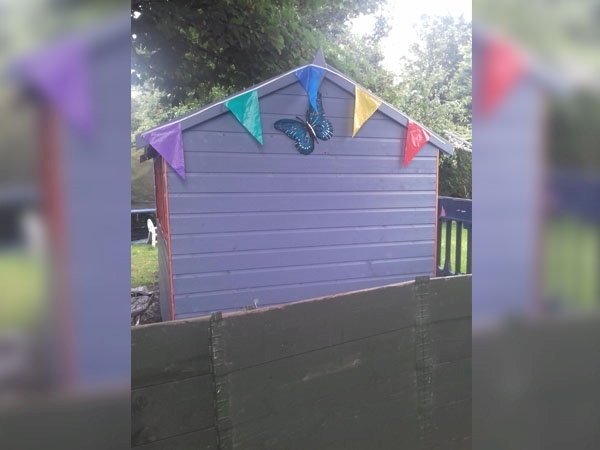 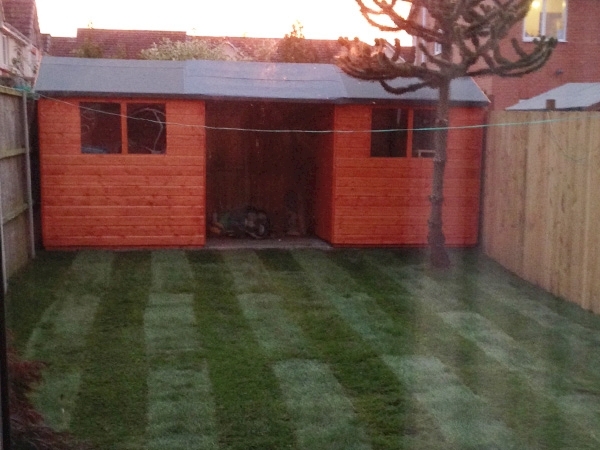 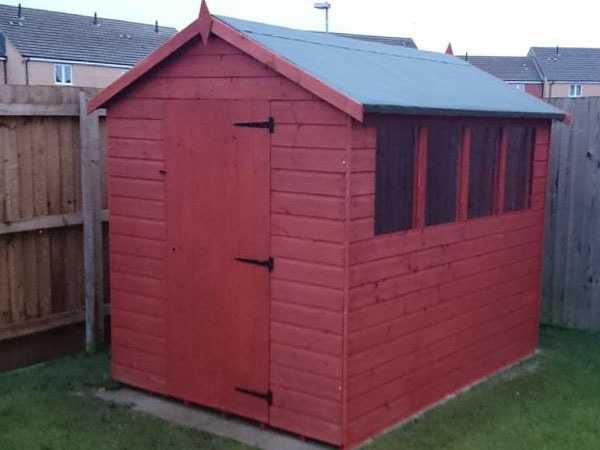 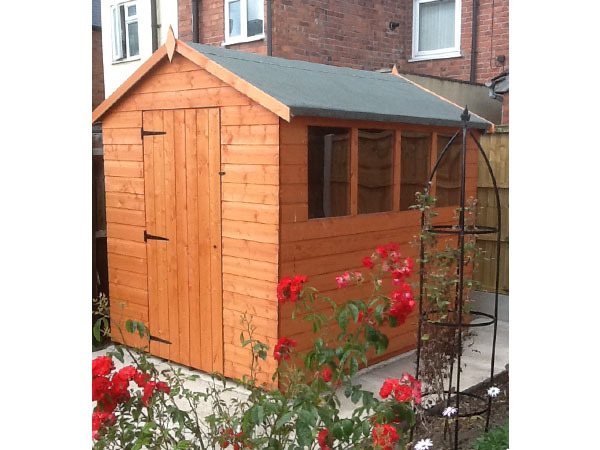 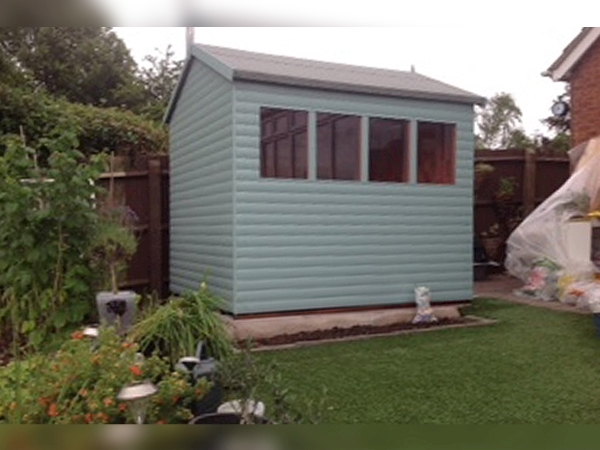 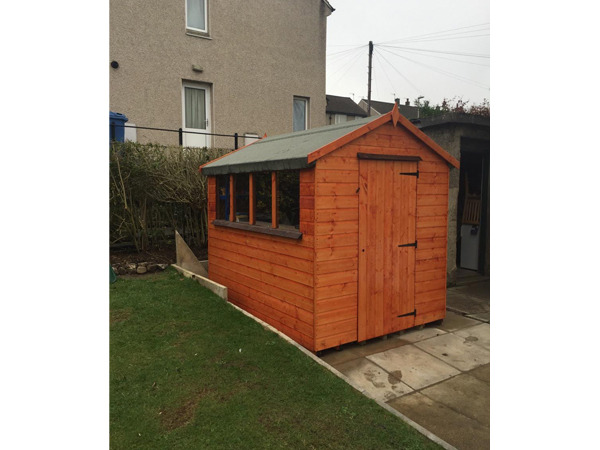 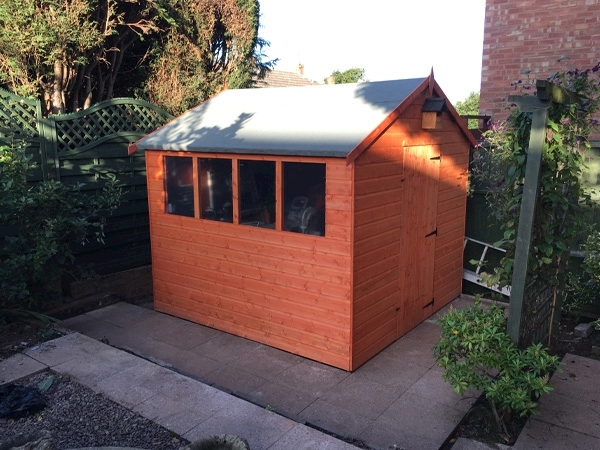 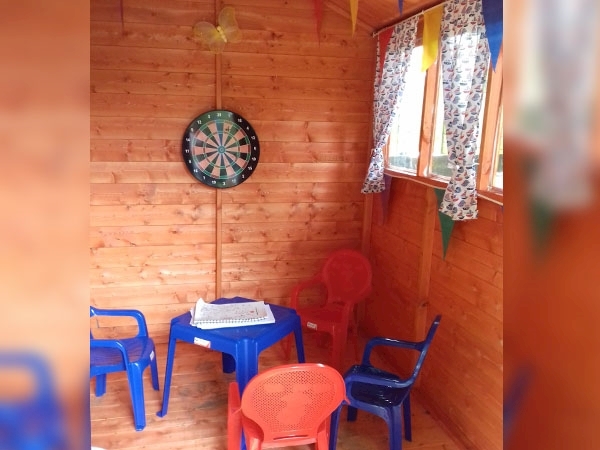 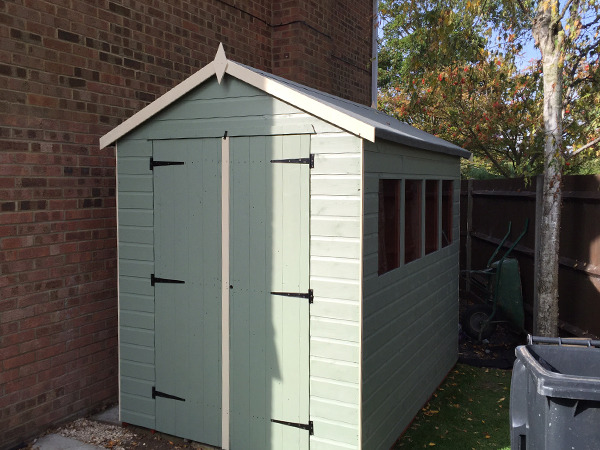 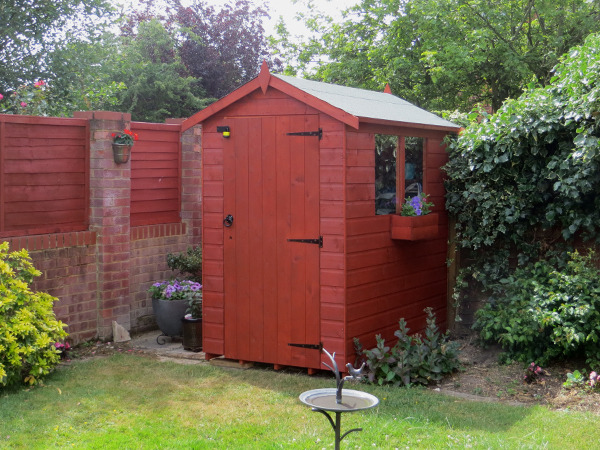 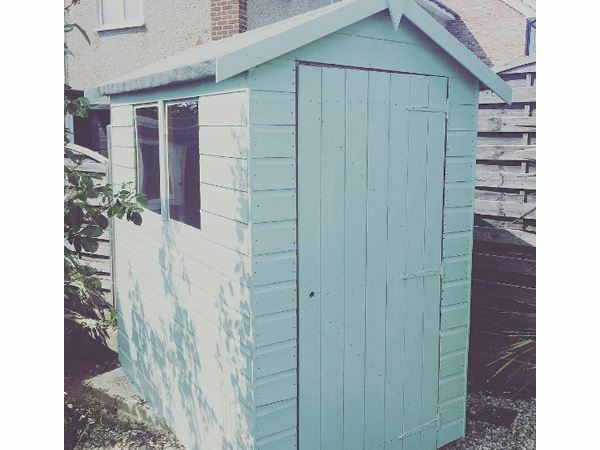 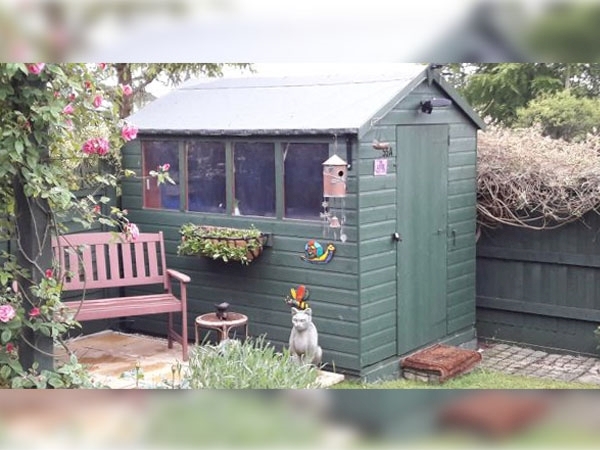 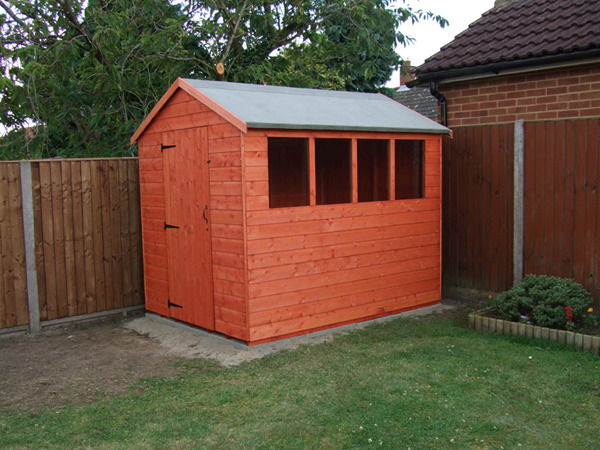 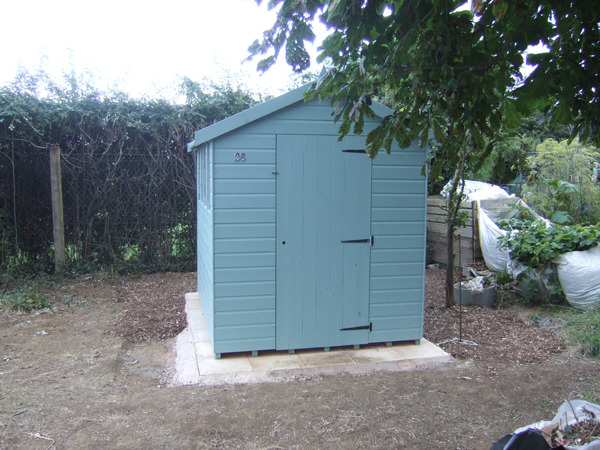 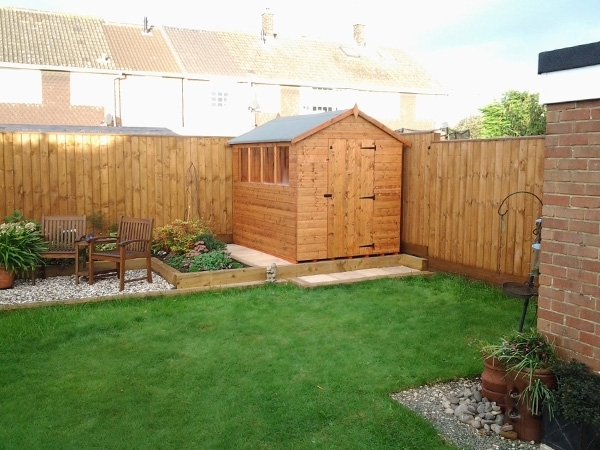 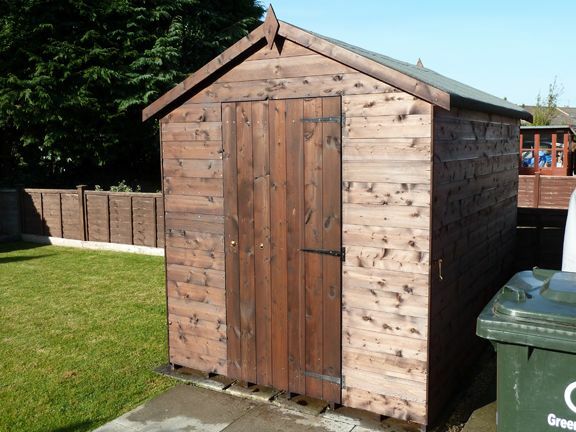 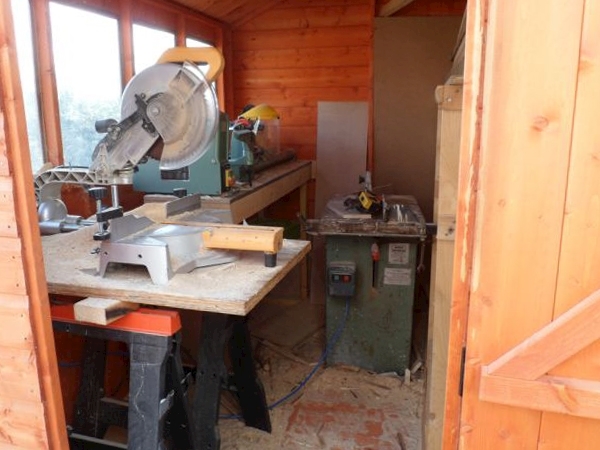 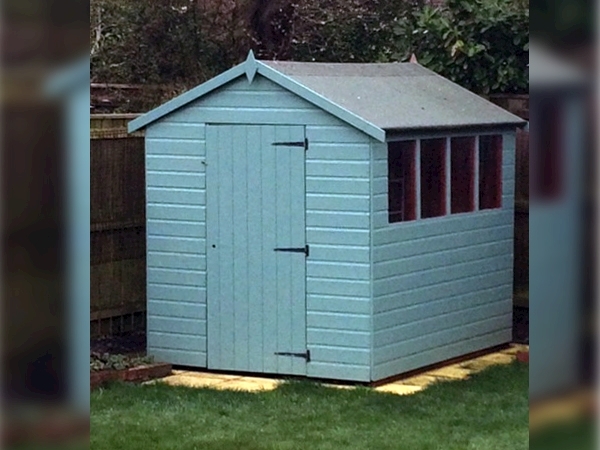 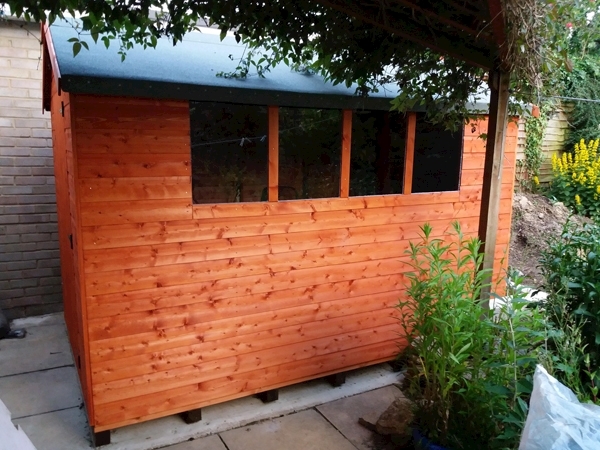 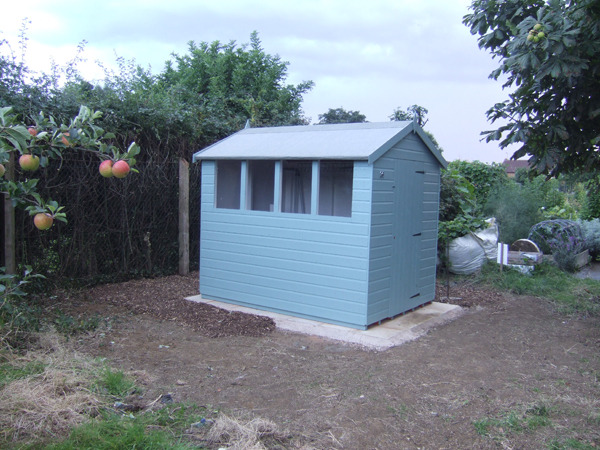 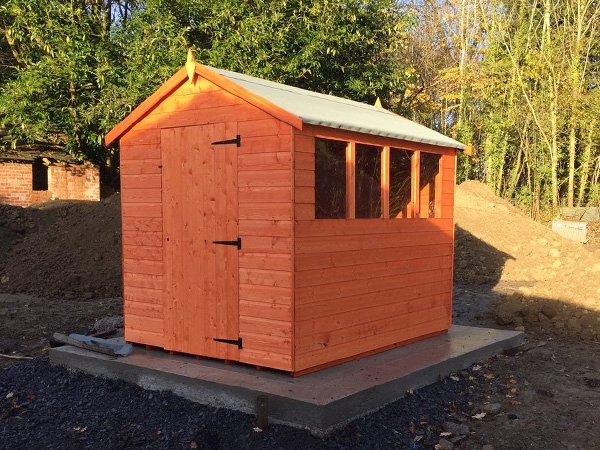 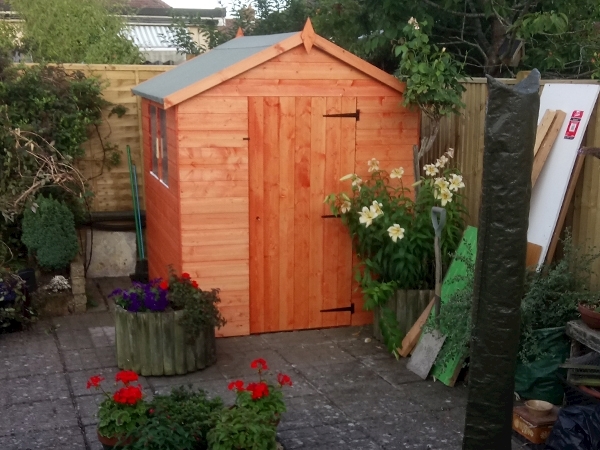 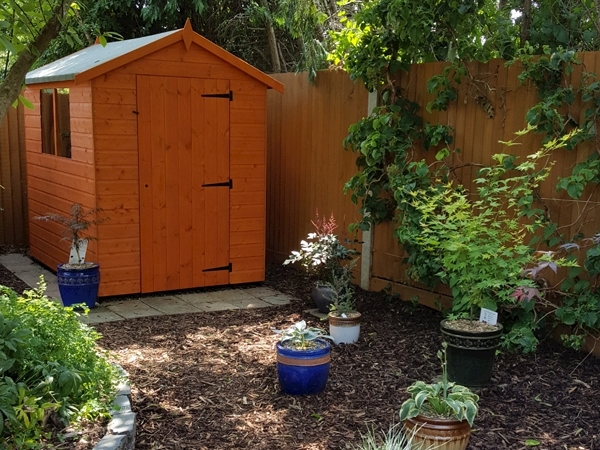 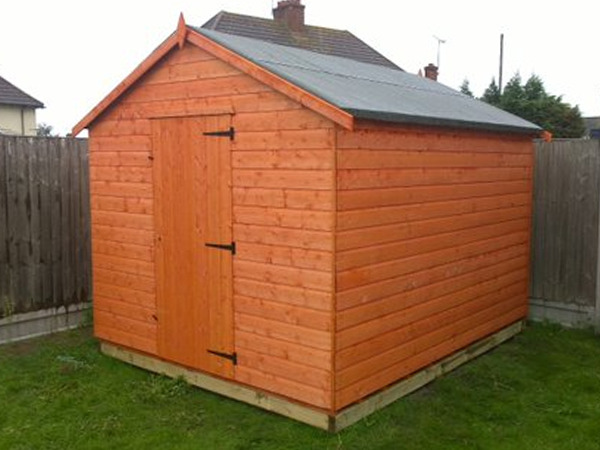 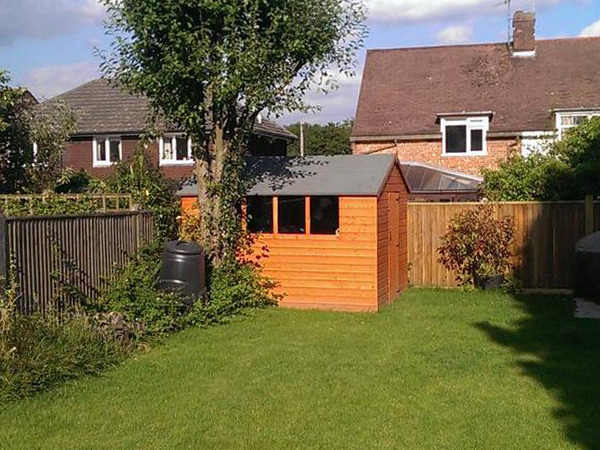 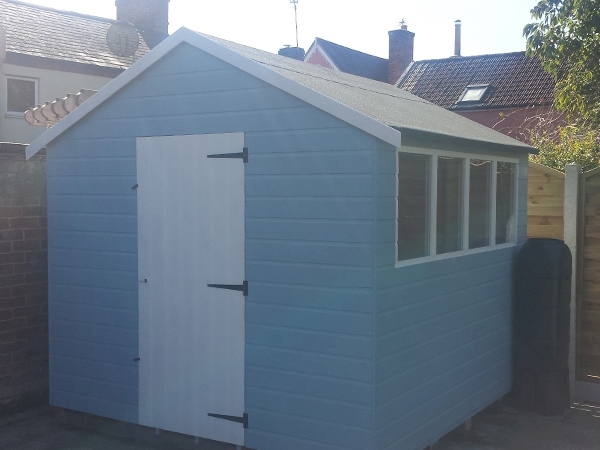 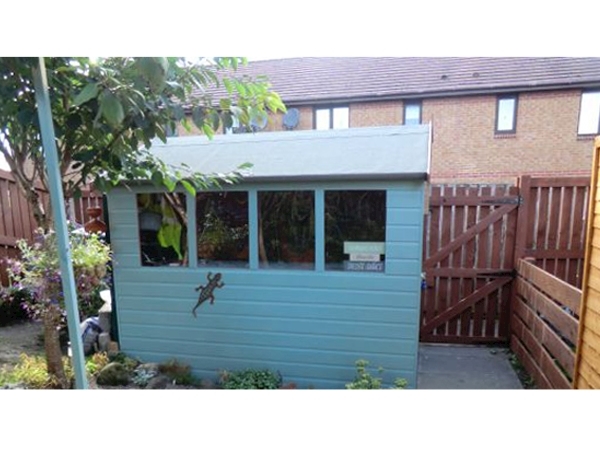 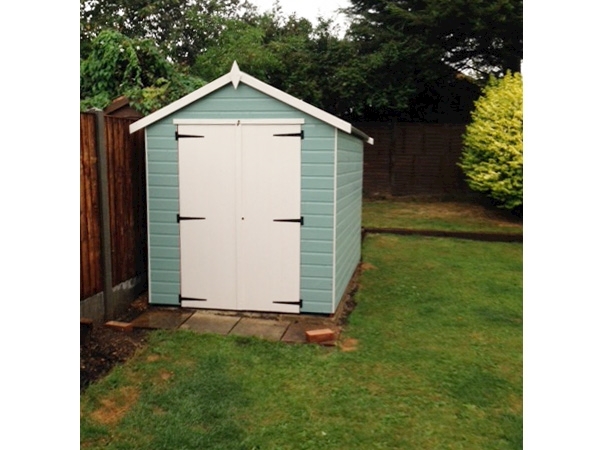 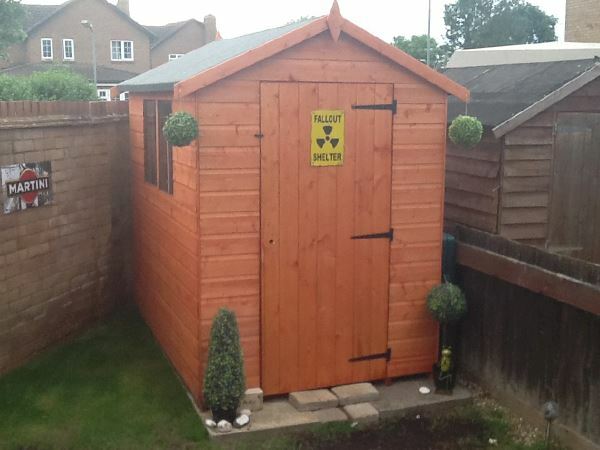 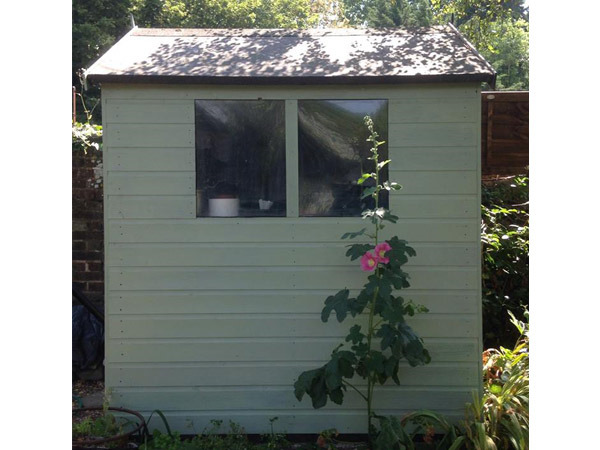 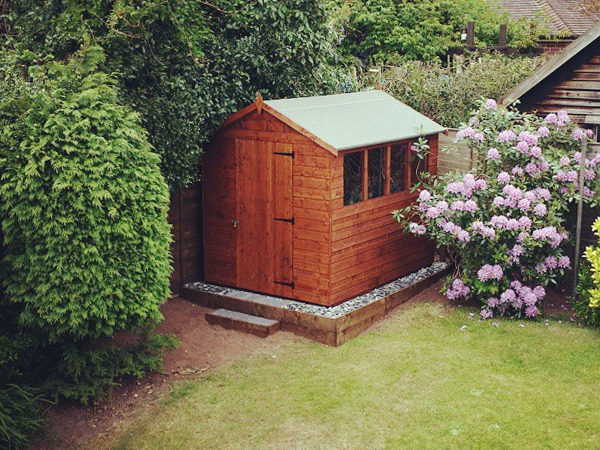 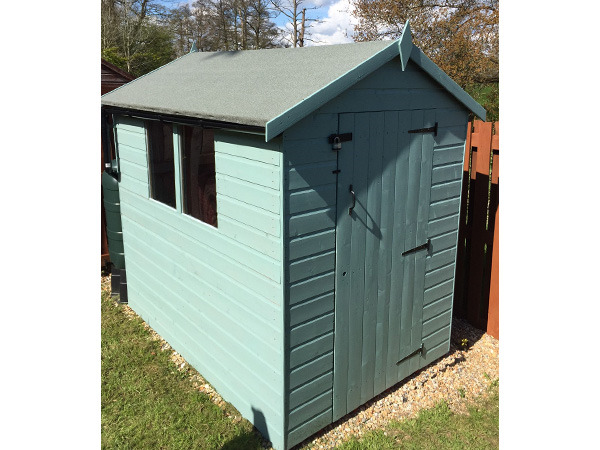 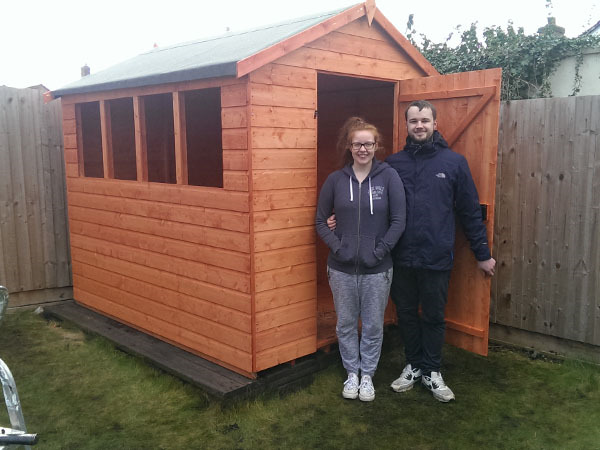 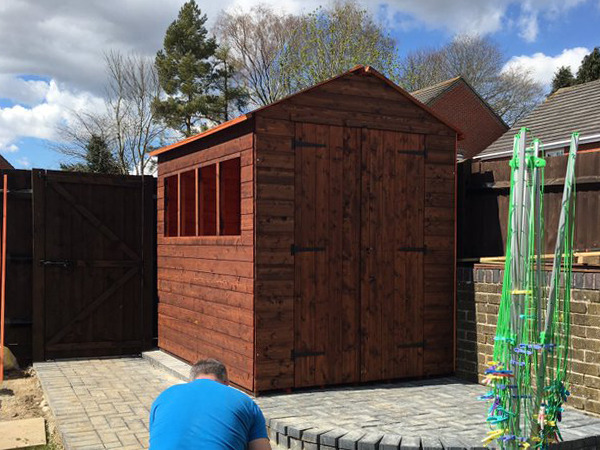 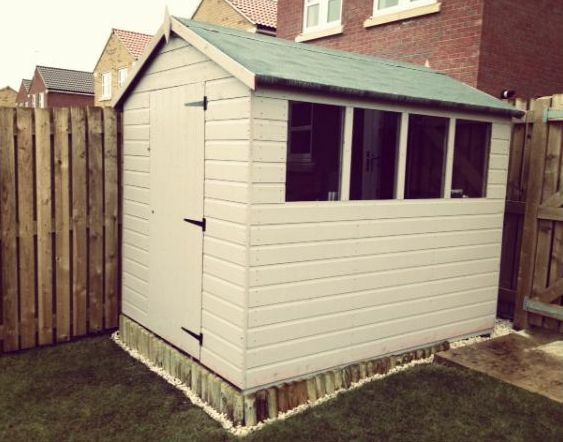 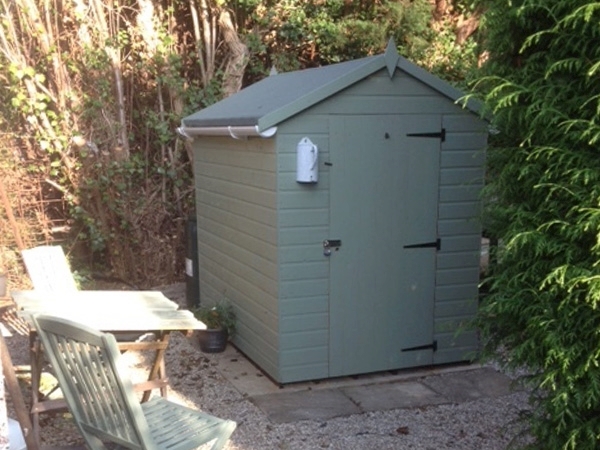 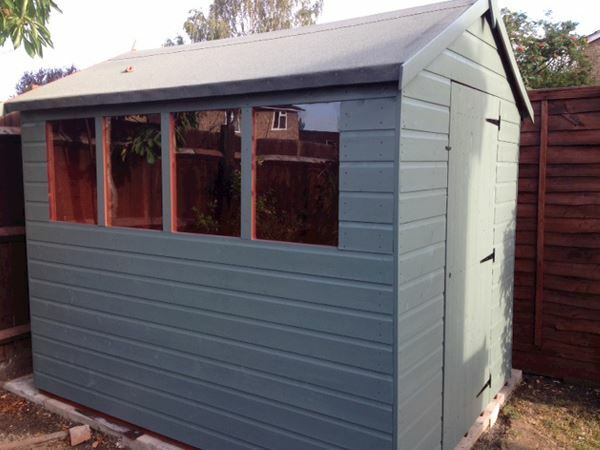 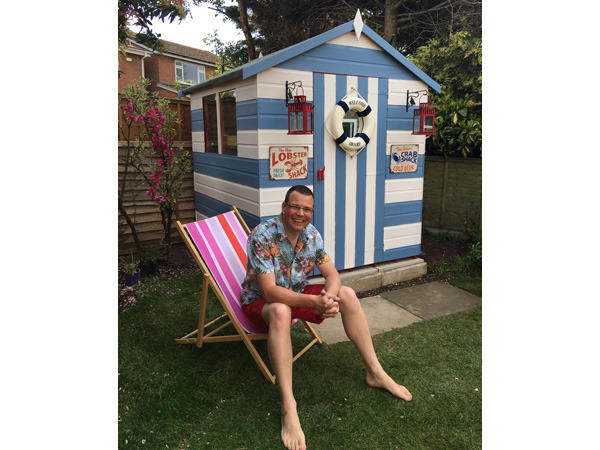 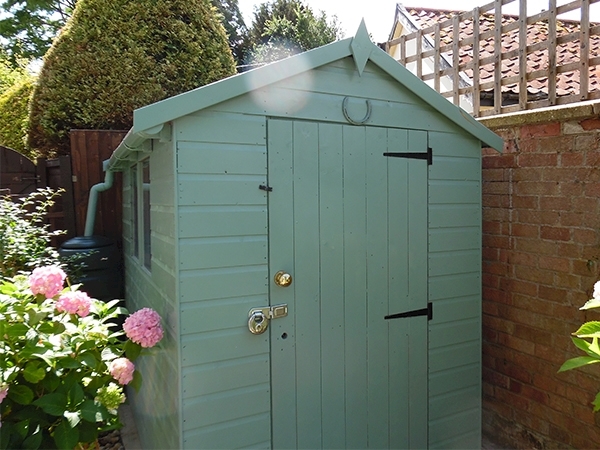 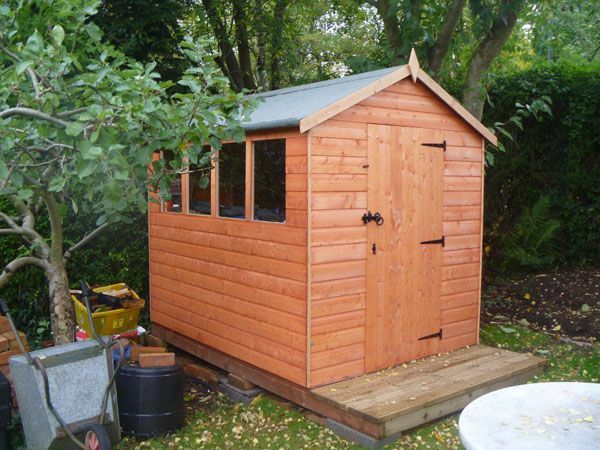 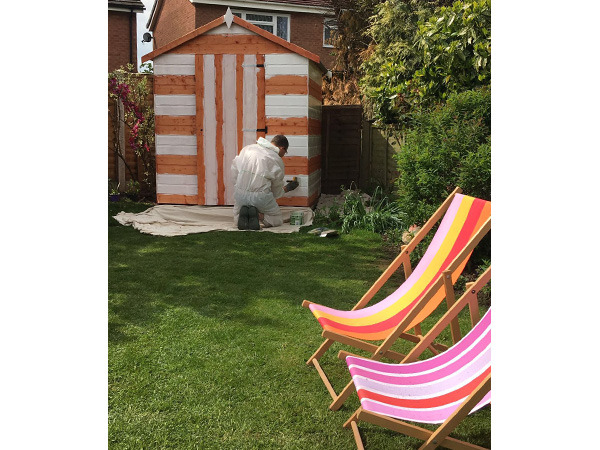 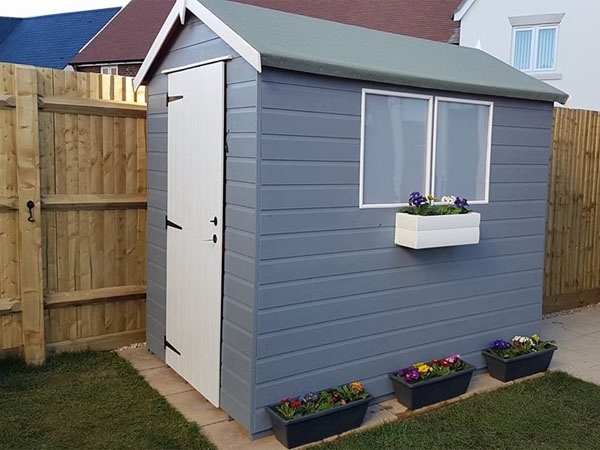 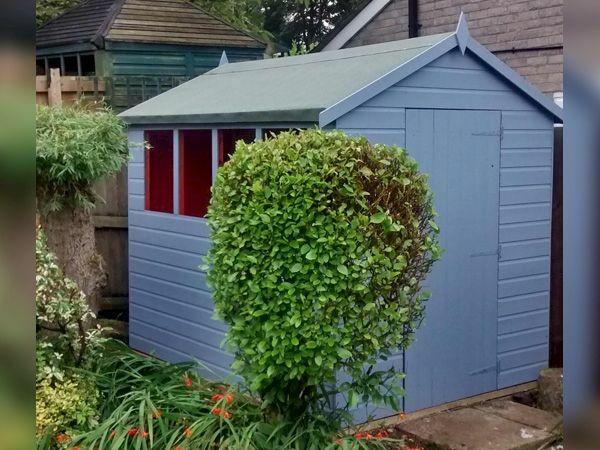 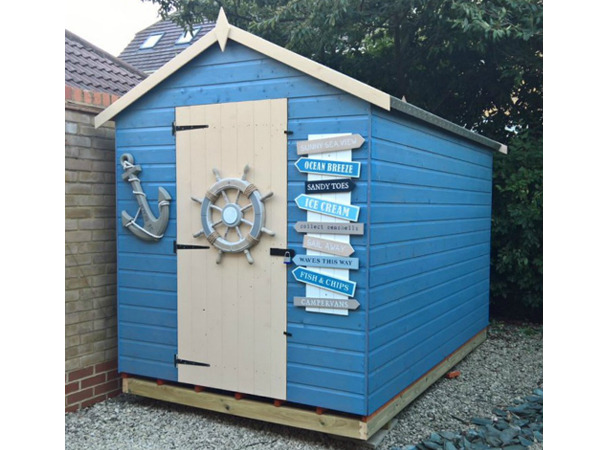 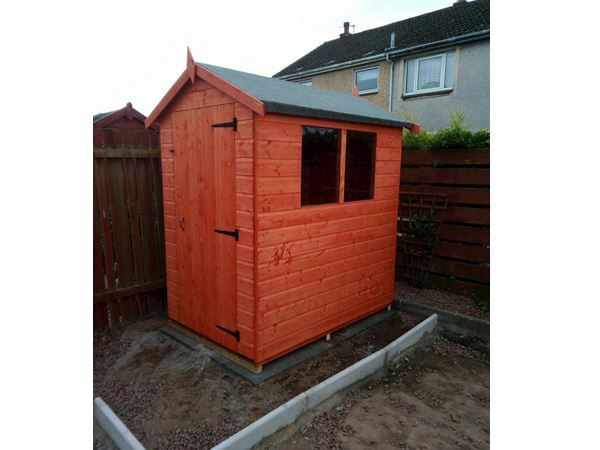 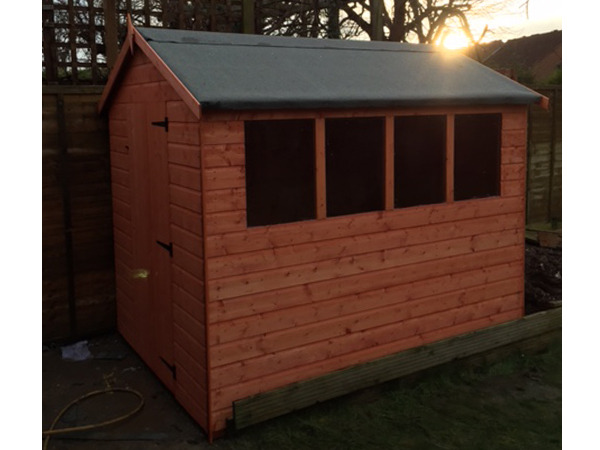 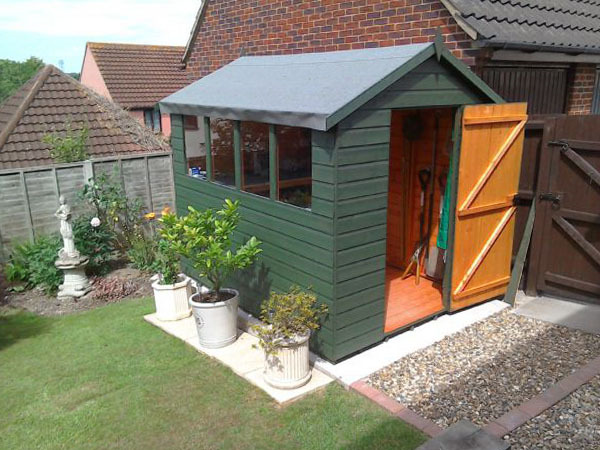 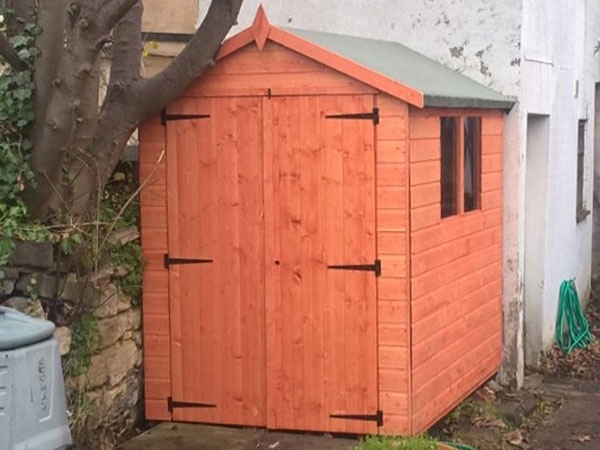 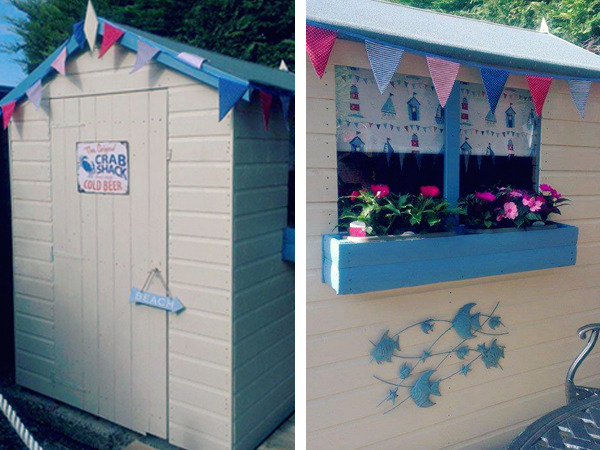 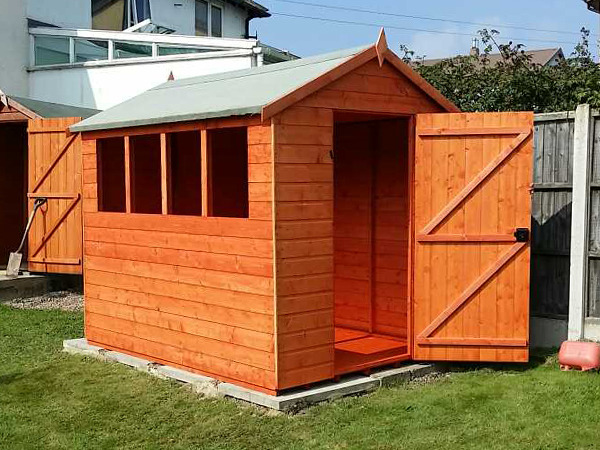 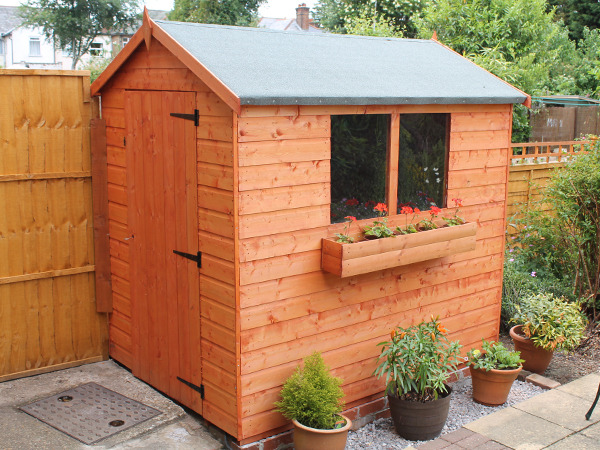 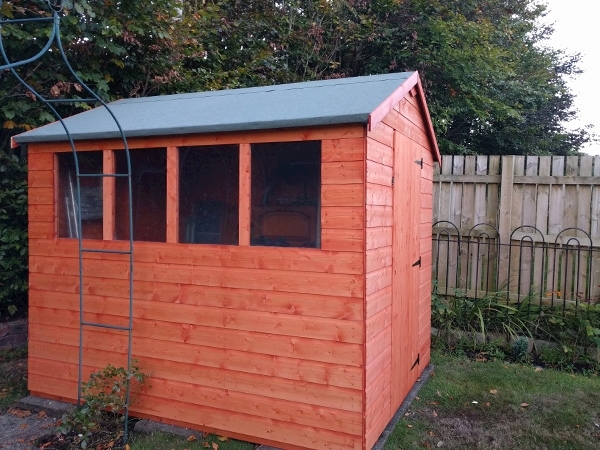 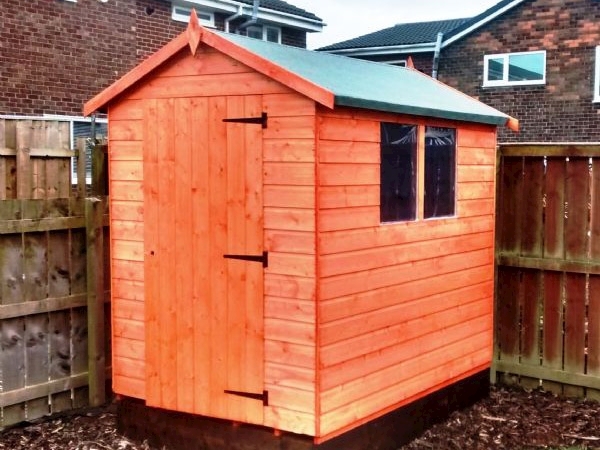 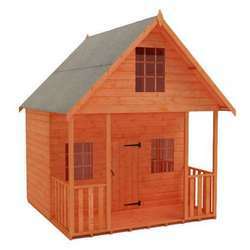 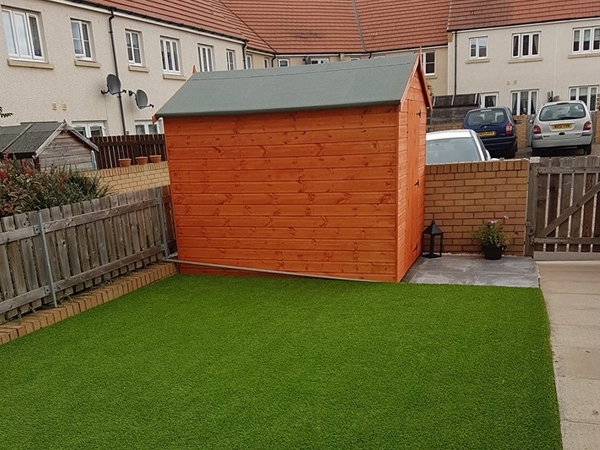 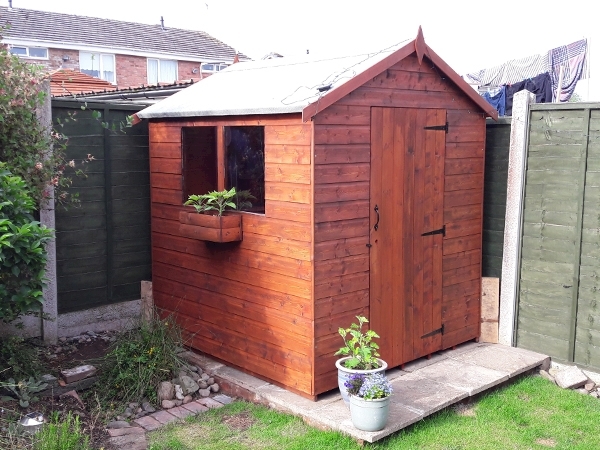 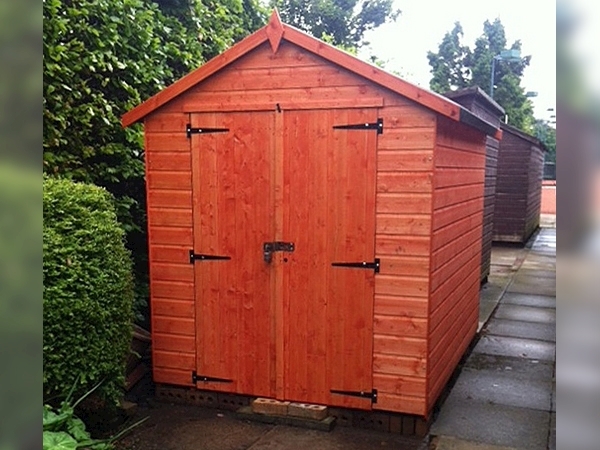 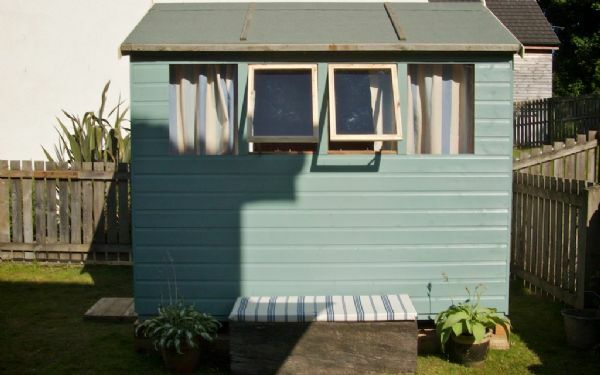 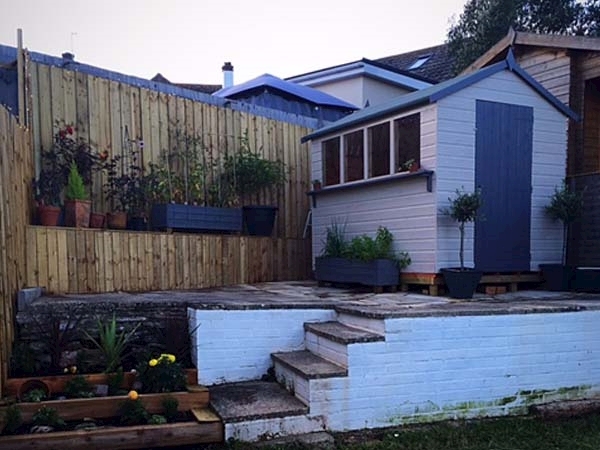 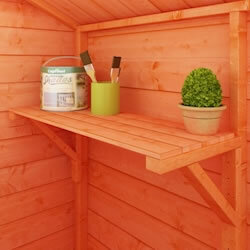 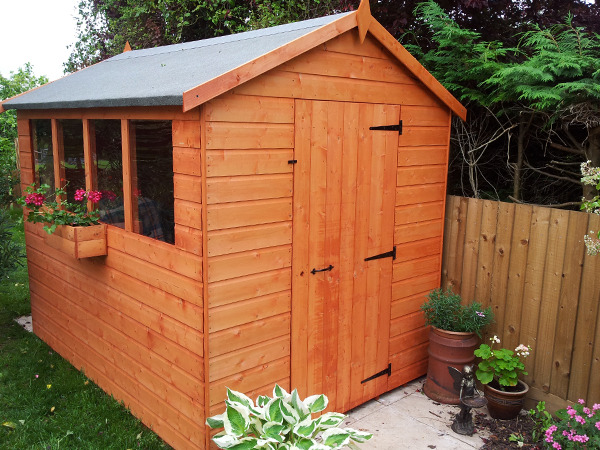 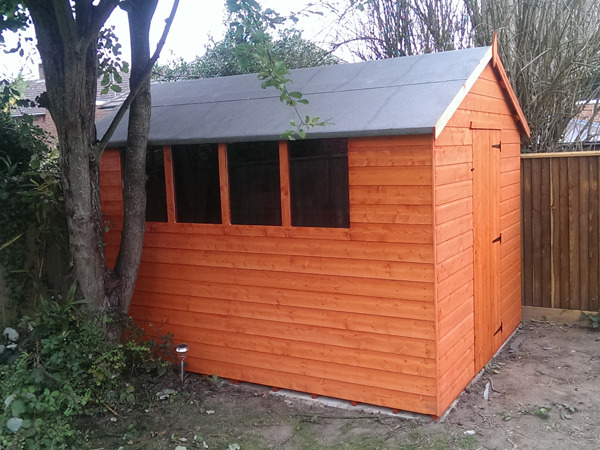 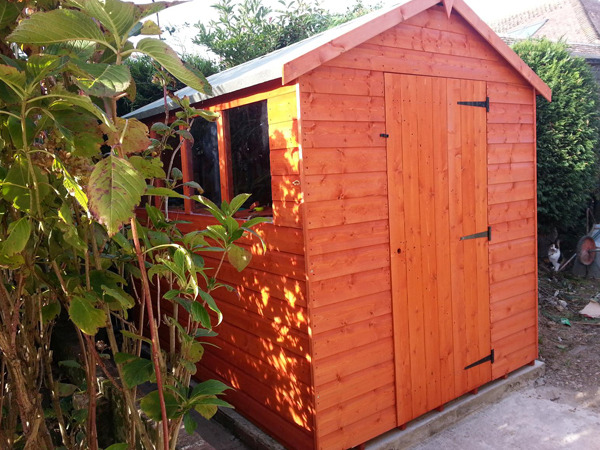 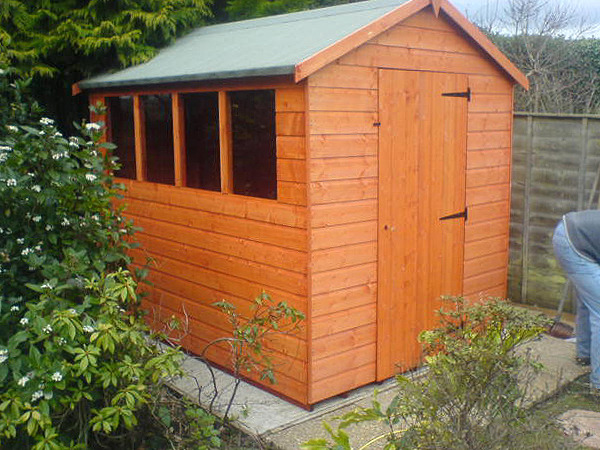 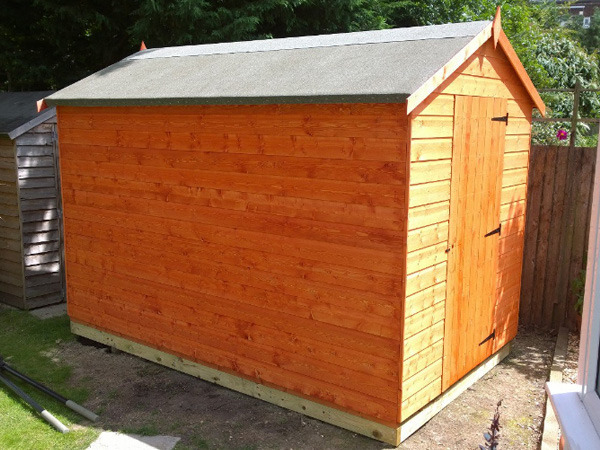 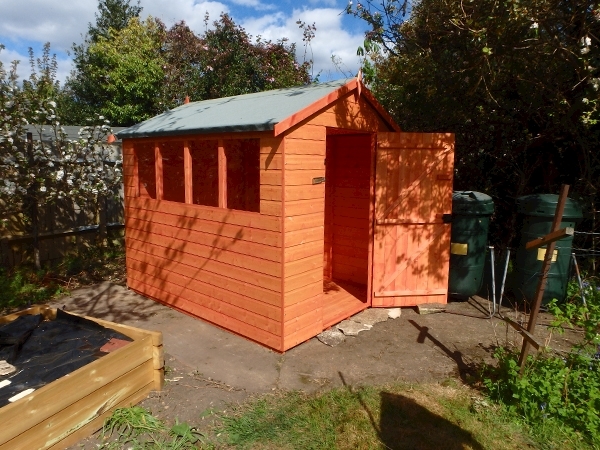 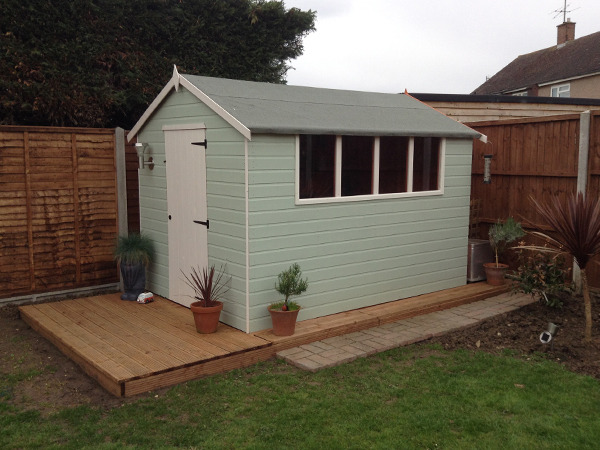 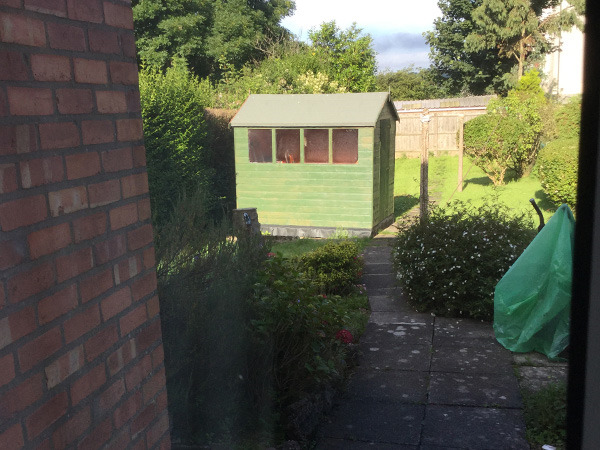 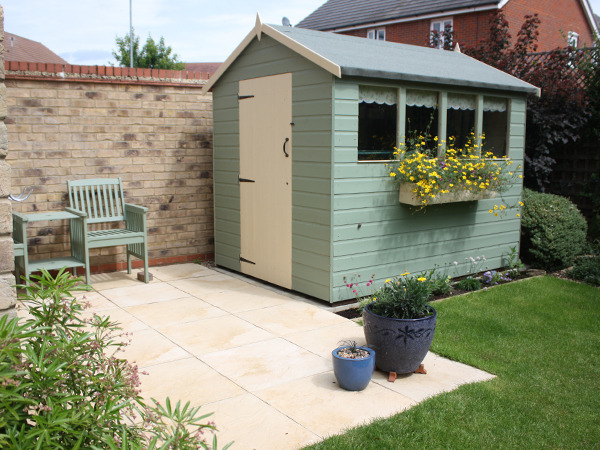 Its classic design makes it one of the most popular garden sheds in the UK. 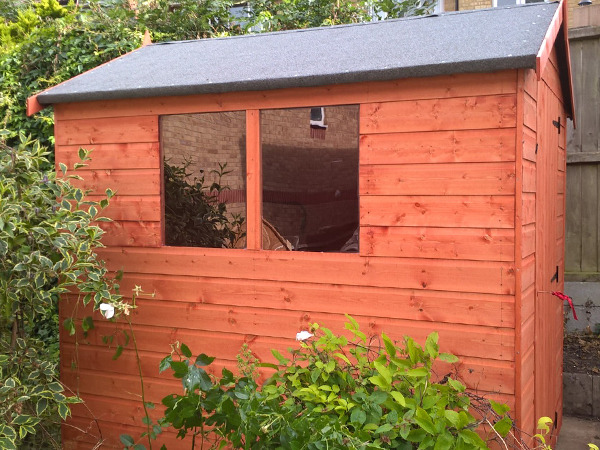 The cladding, emphasising rigidity and security, comprises of a high quality selected European softwoods, protected with a red cedar water based treatment. 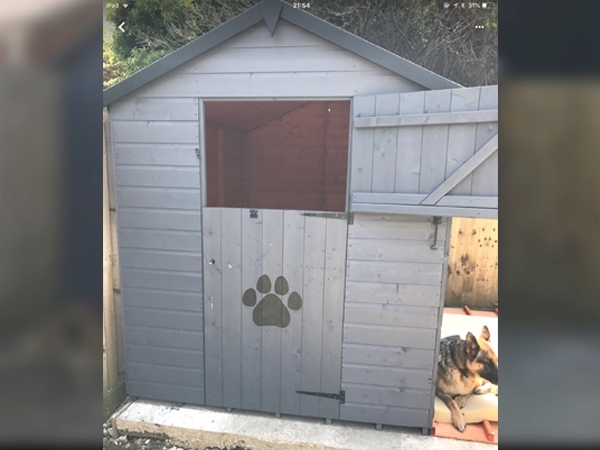 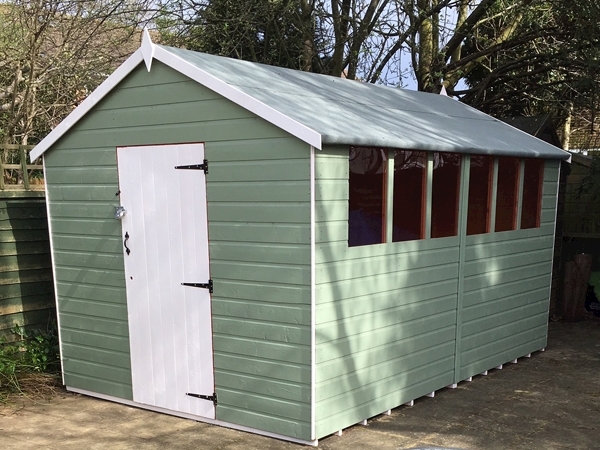 This makes the Tiger Shiplap Apex Shed an excellent and aesthetically pleasing product providing an ideal storage space. 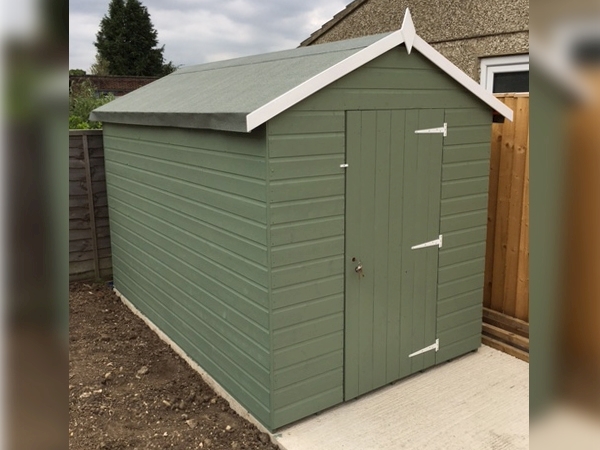 The roof of the Tiger Shiplap Apex Shed is covered with a layer of heavy duty green mineral felt for further protection. 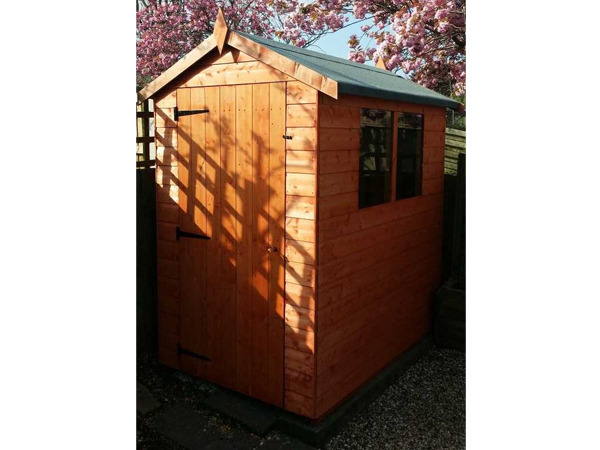 Internally, the ultra strong rounded four corner framework provides additional structure and strength to the overall garden shed. 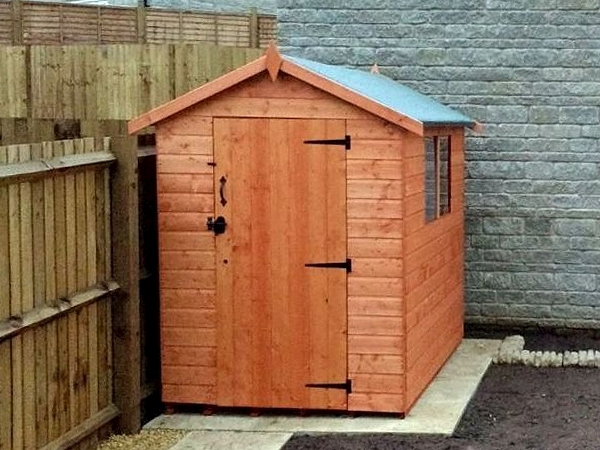 Another major benefit of the apex style is its increased internal height. 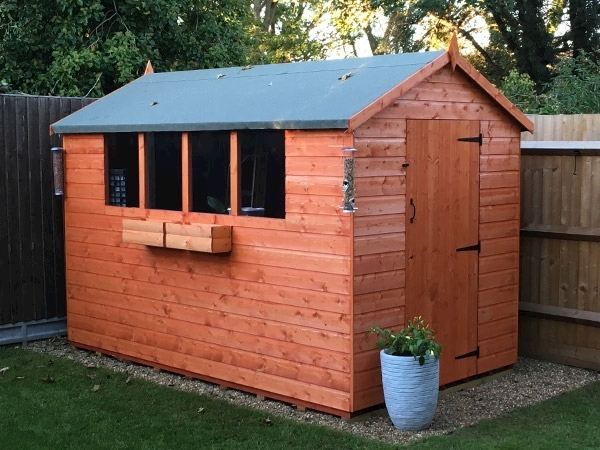 Furthermore, a great reason to purchase this model is the stylish windows supplied as standard; The Tiger Shiplap Apex Shed has been designed to allow the customer the option to choose which side of the garden shed they want the windows to be positioned during assembly. 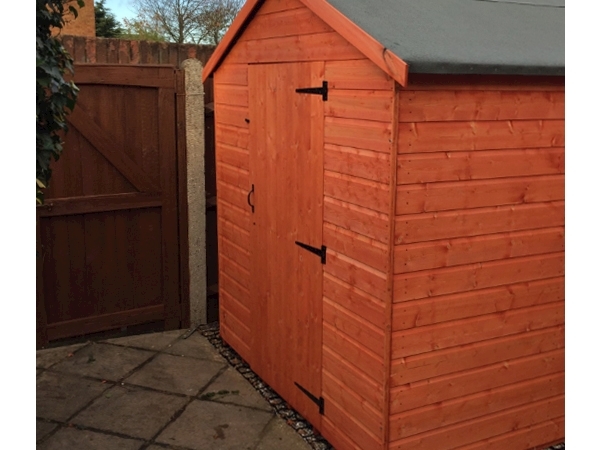 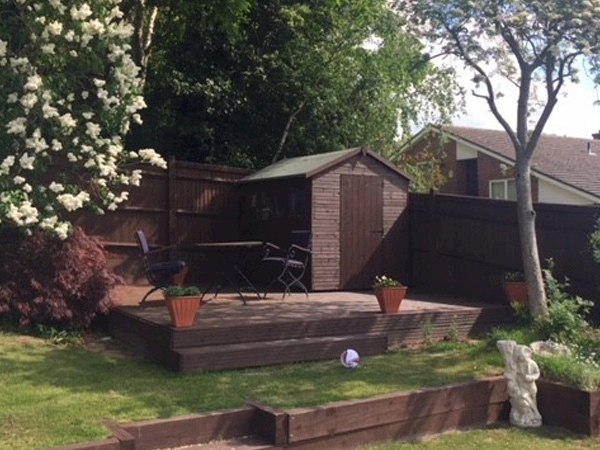 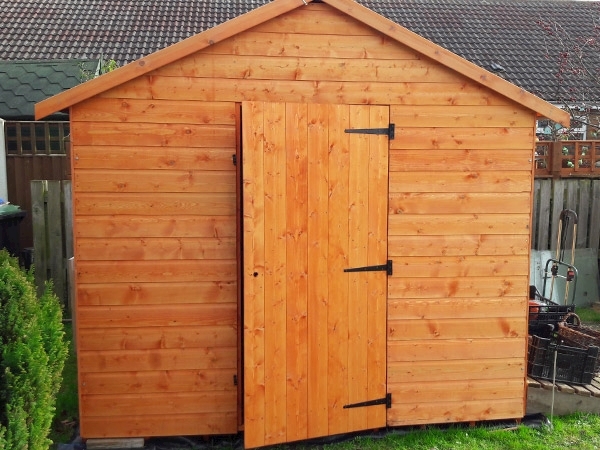 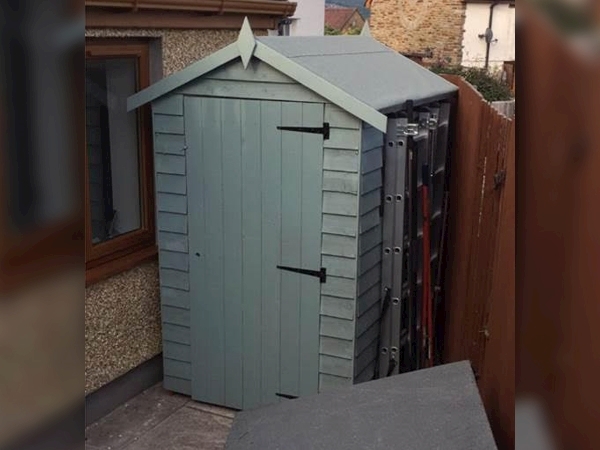 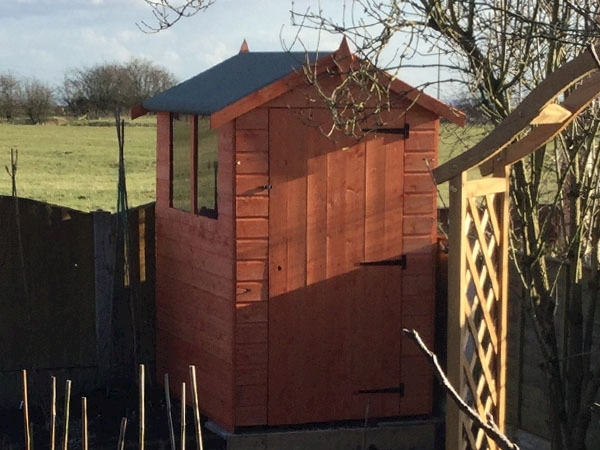 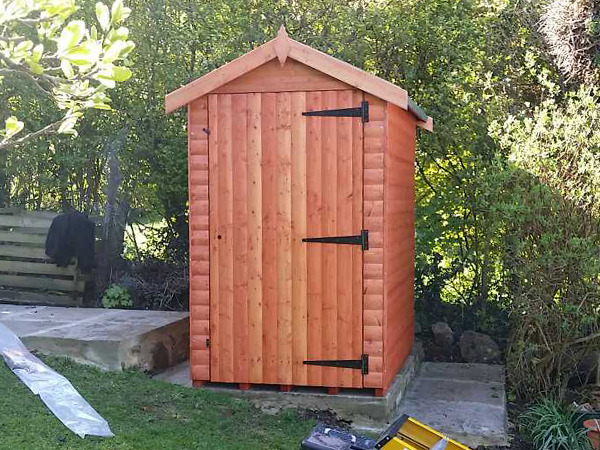 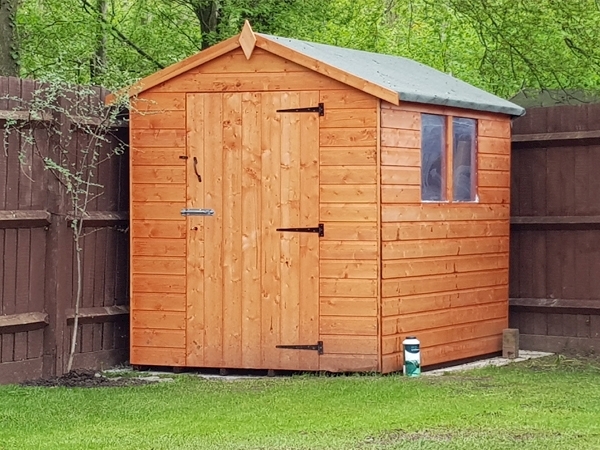 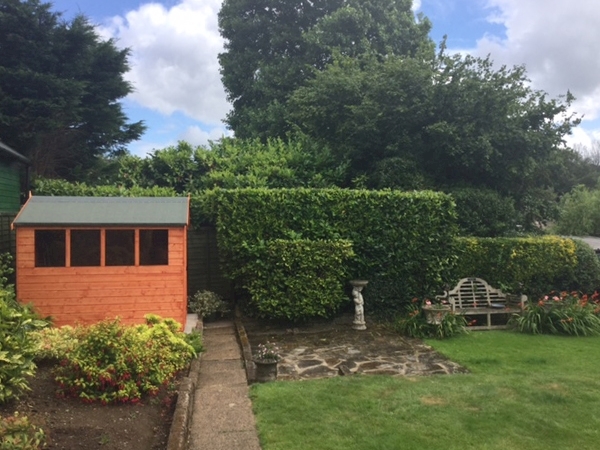 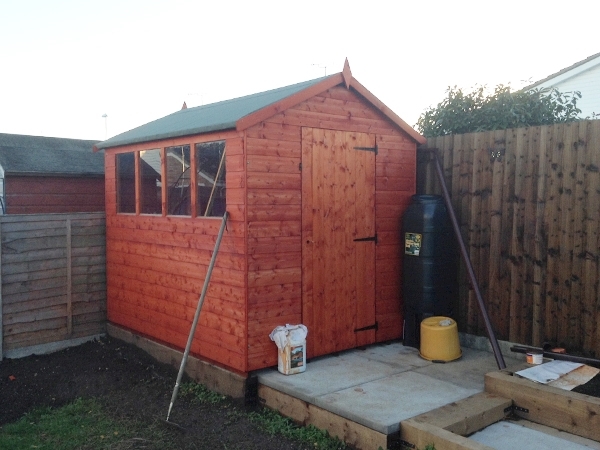 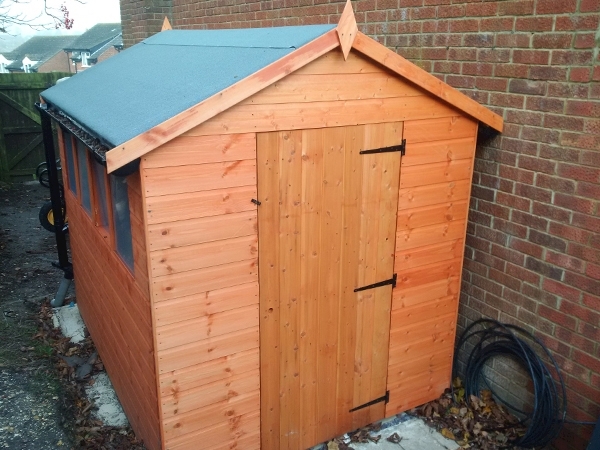 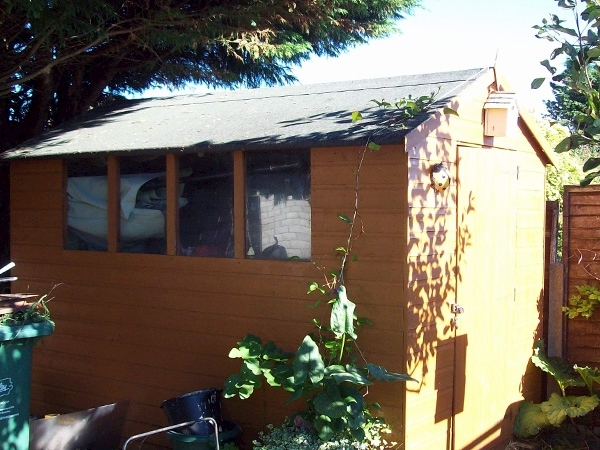 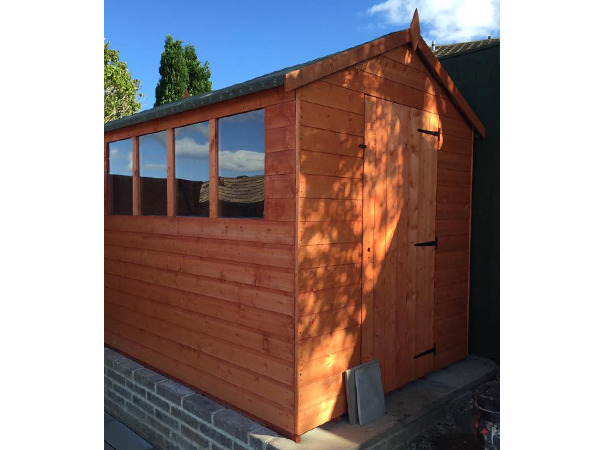 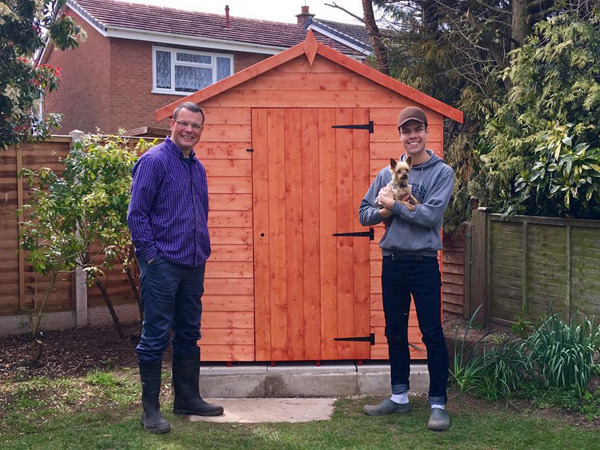 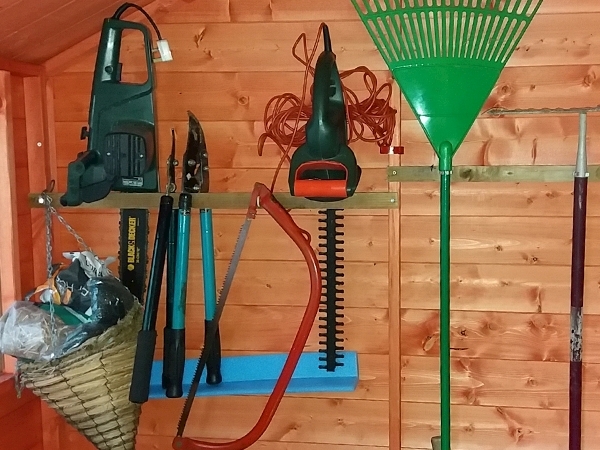 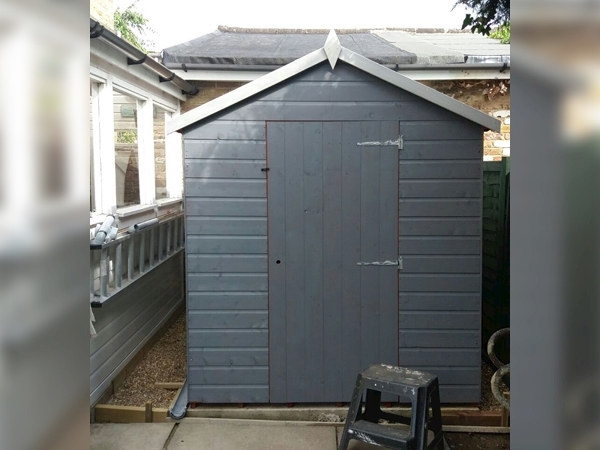 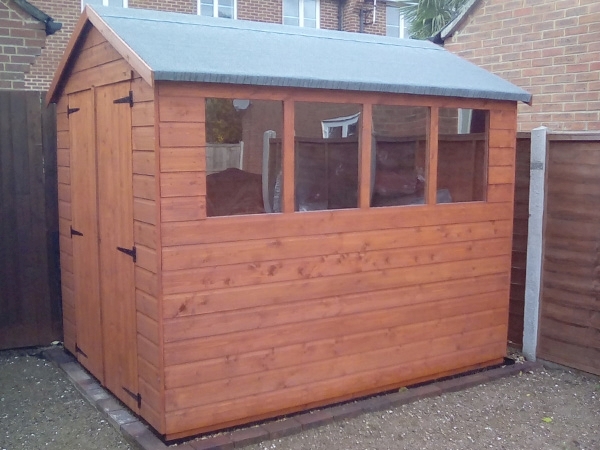 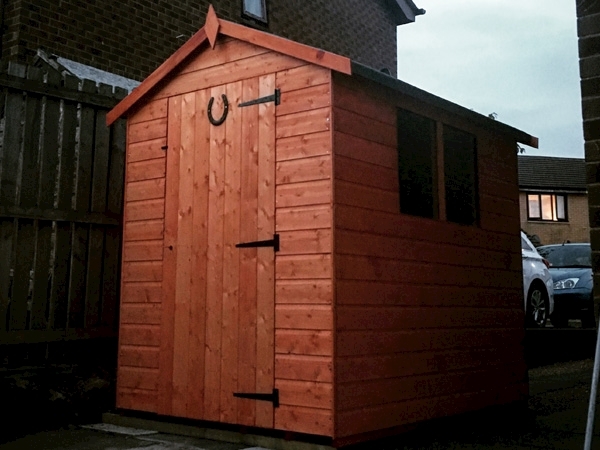 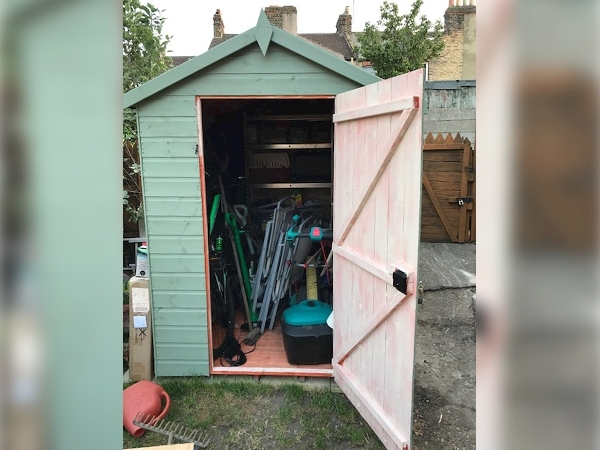 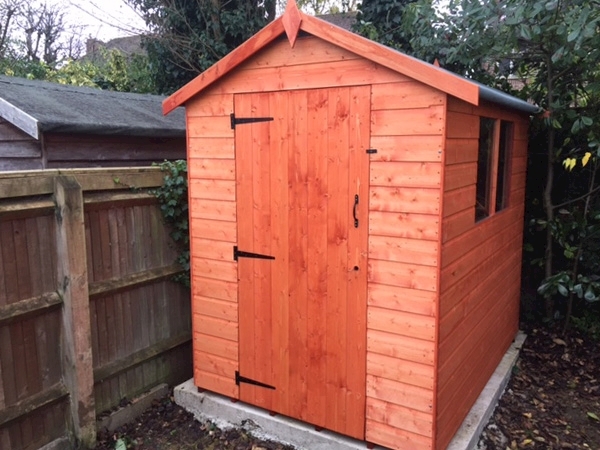 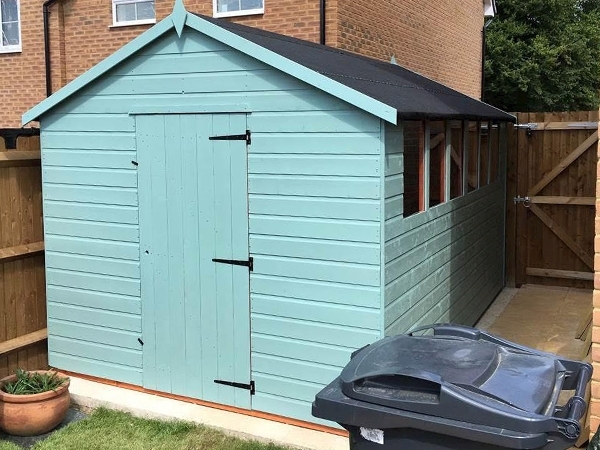 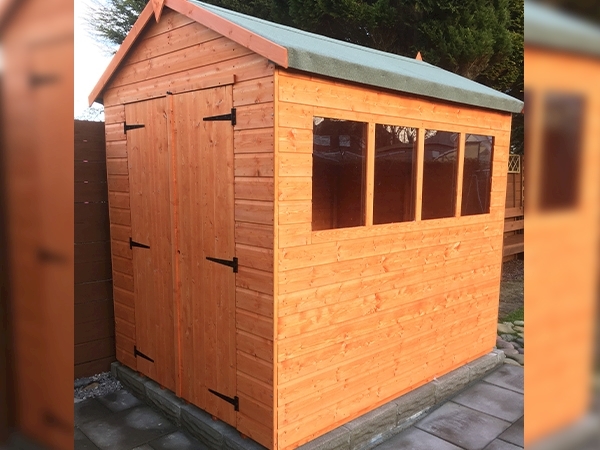 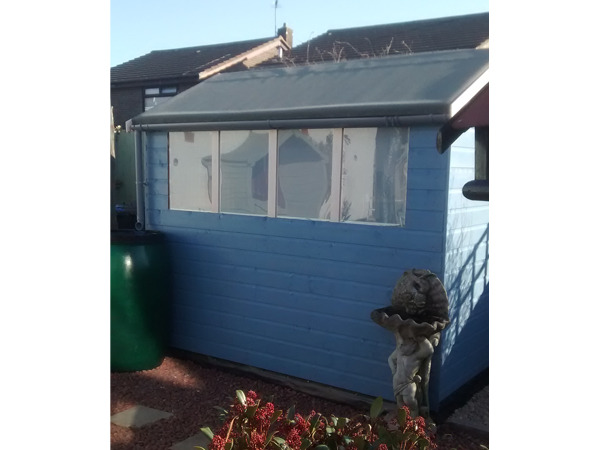 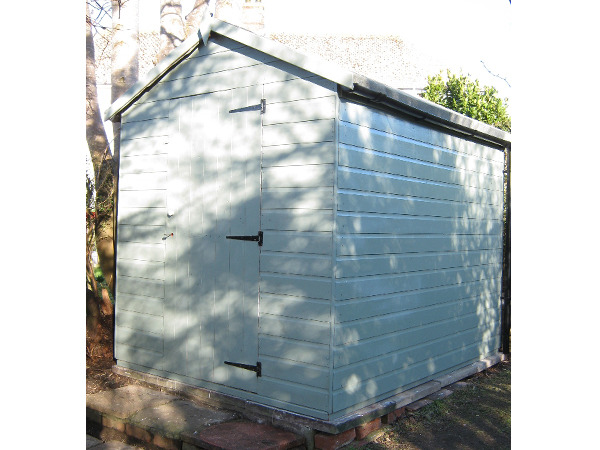 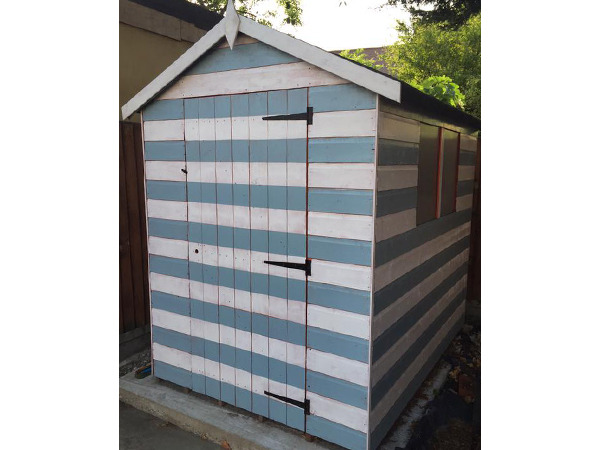 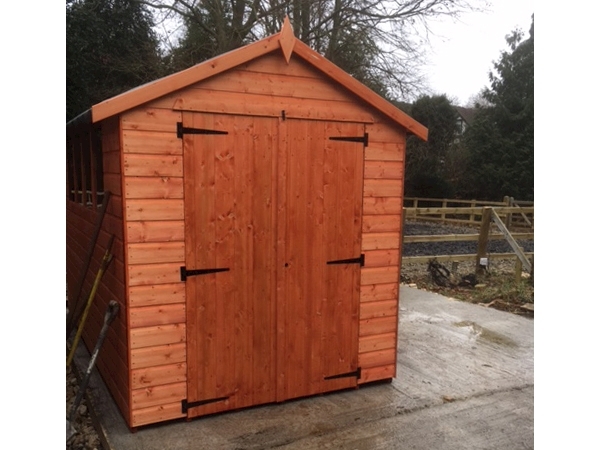 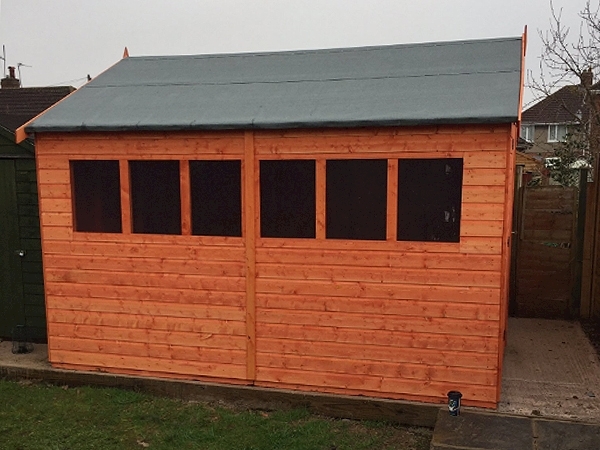 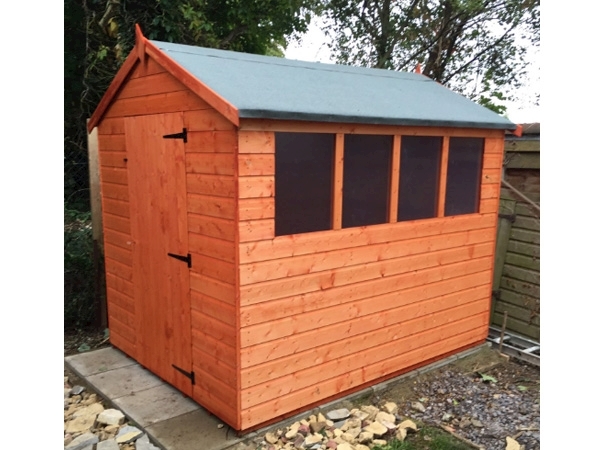 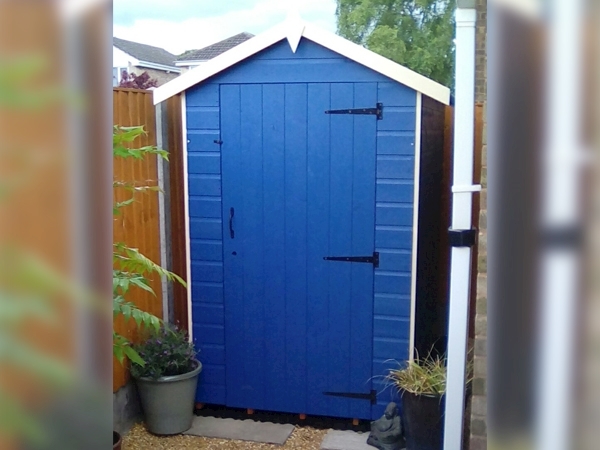 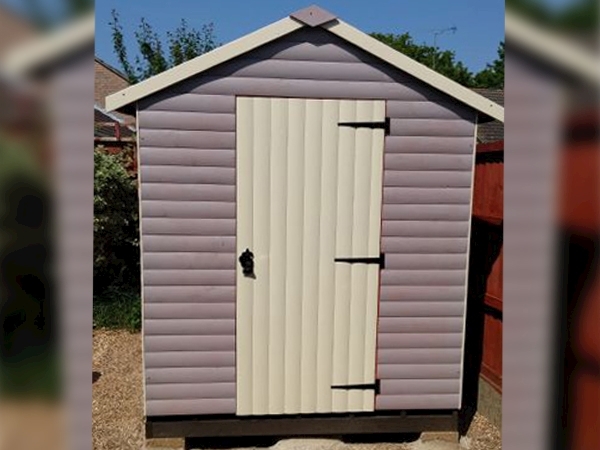 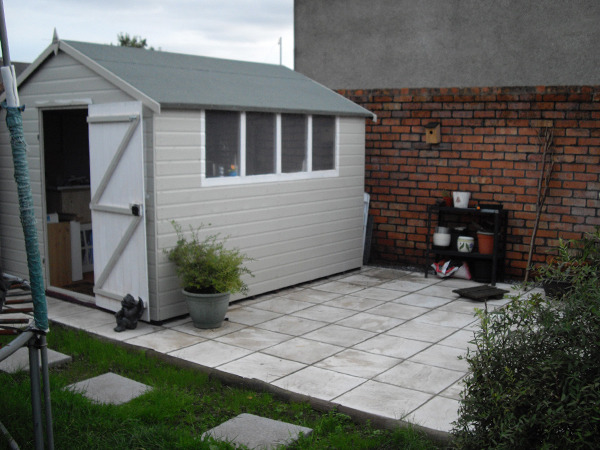 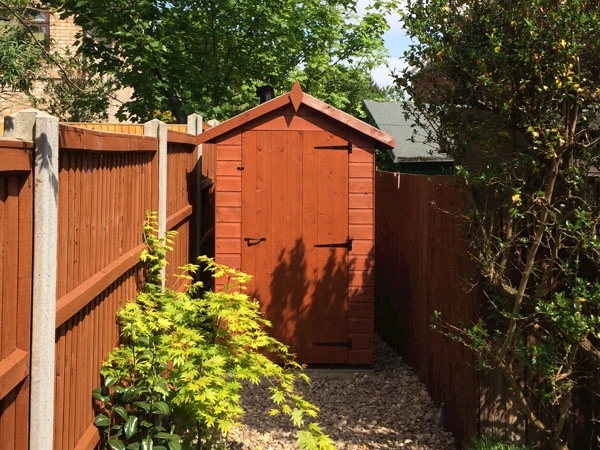 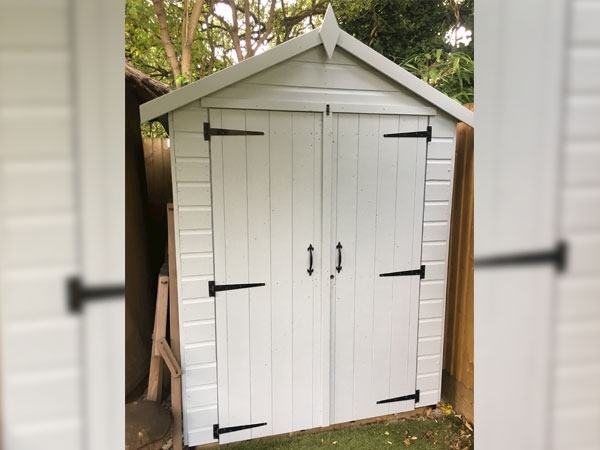 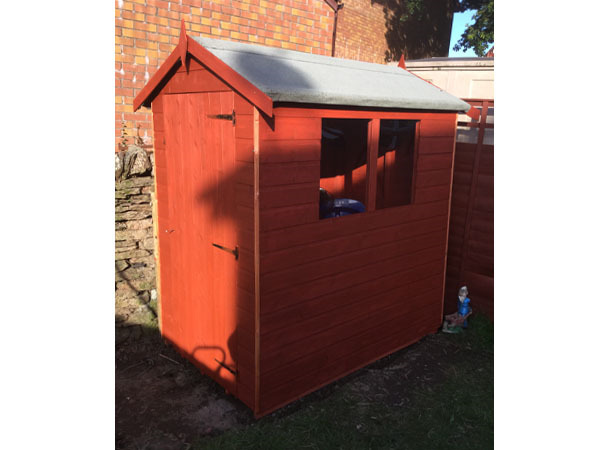 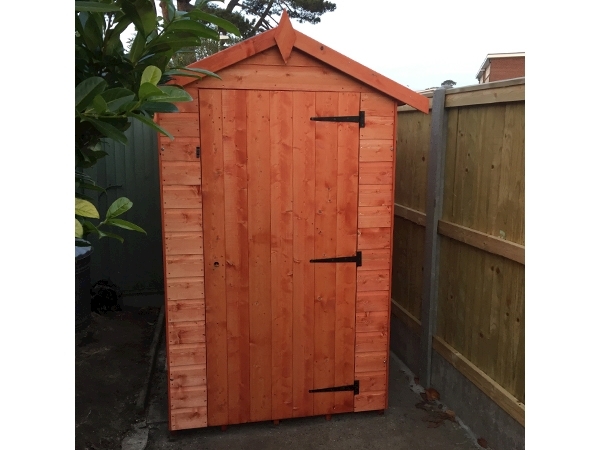 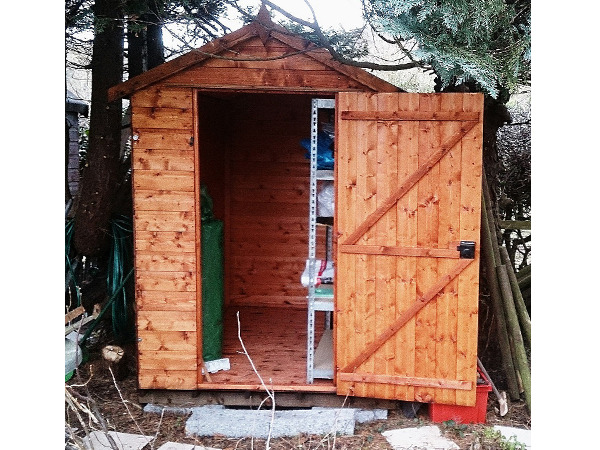 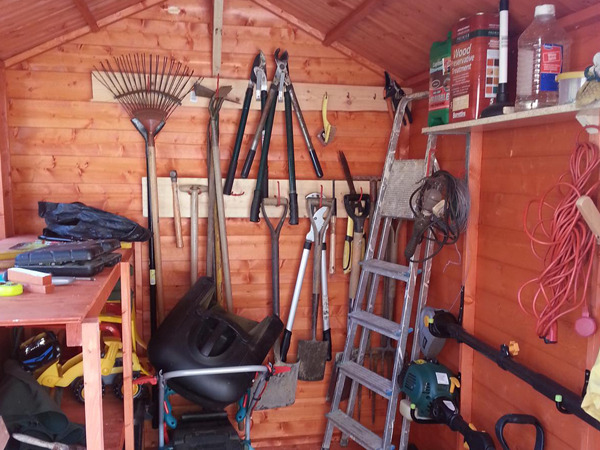 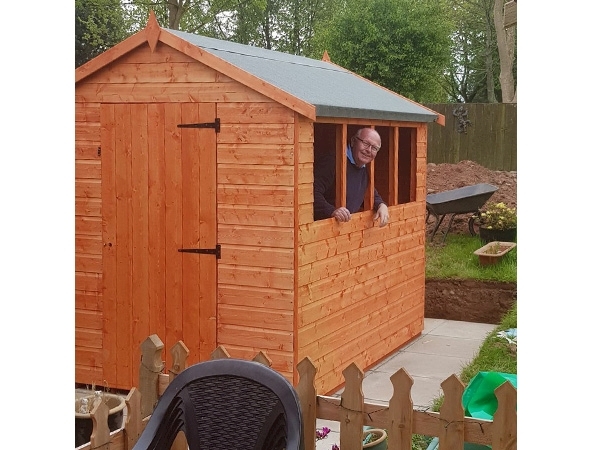 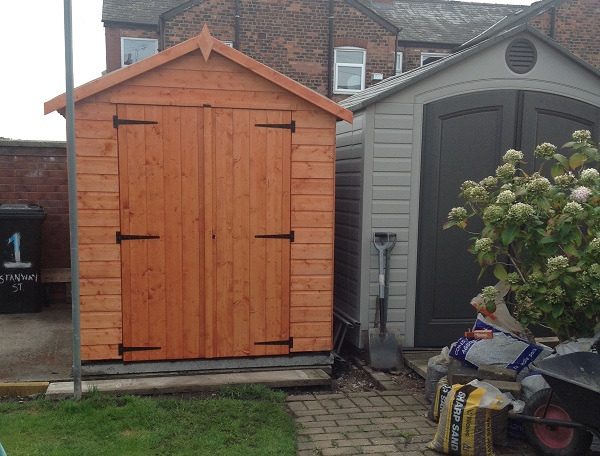 The large well braced single access door on the shed’s gable end provides more than sufficient access to store large outdoor products such as barbeques and bicycles. 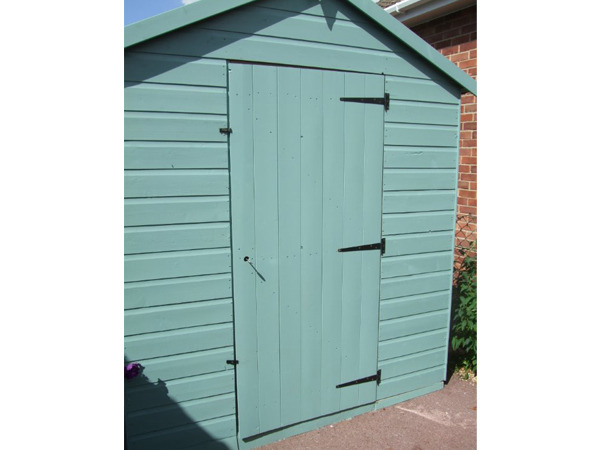 This door incorporates a high security lock and key system, which is supplied free with the model. 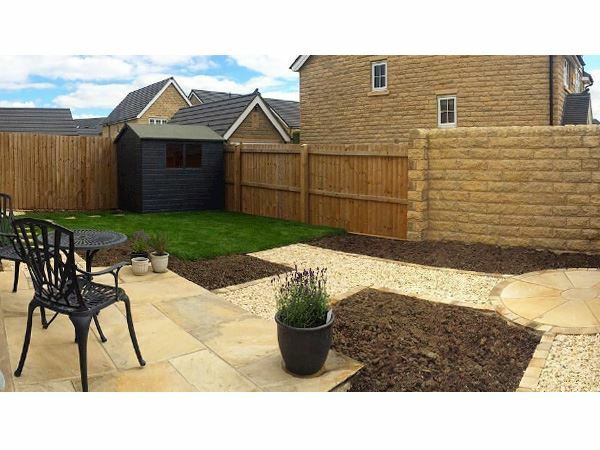 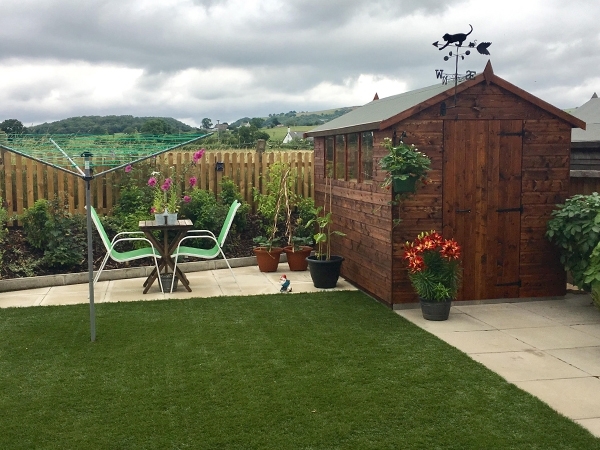 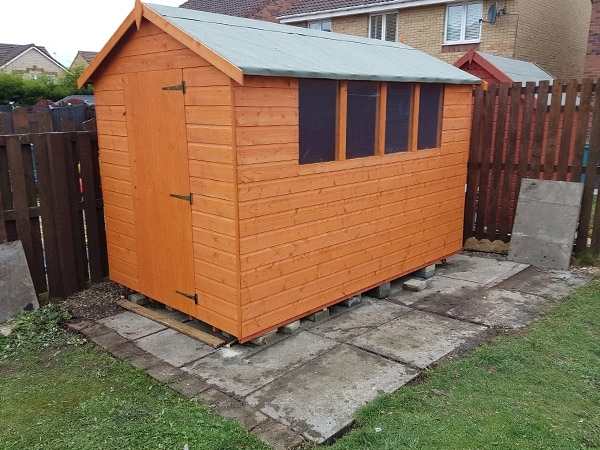 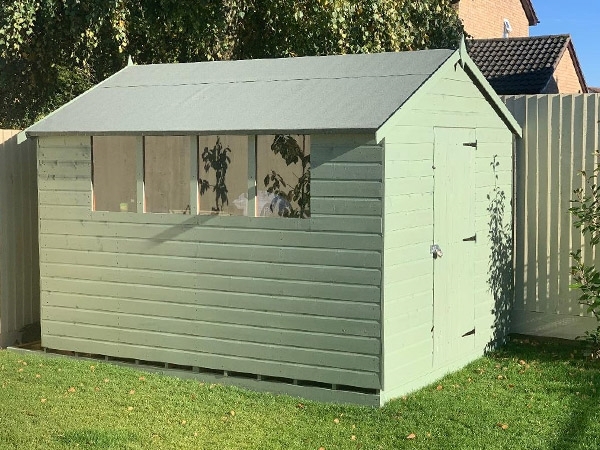 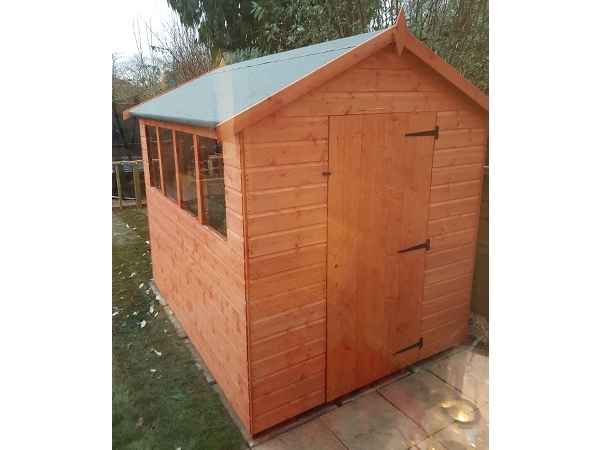 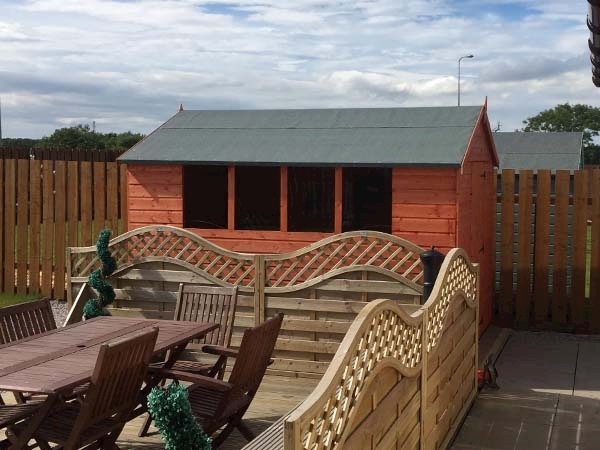 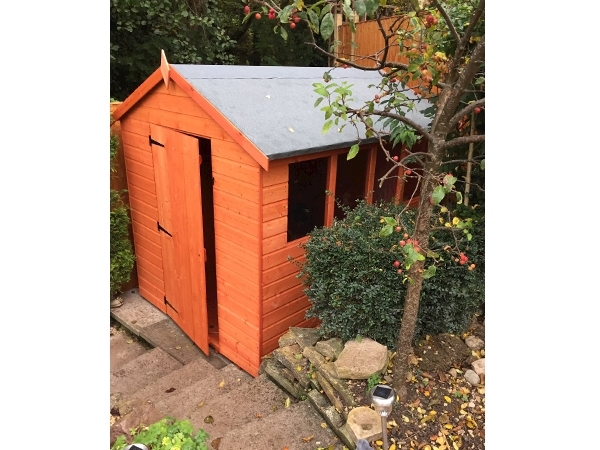 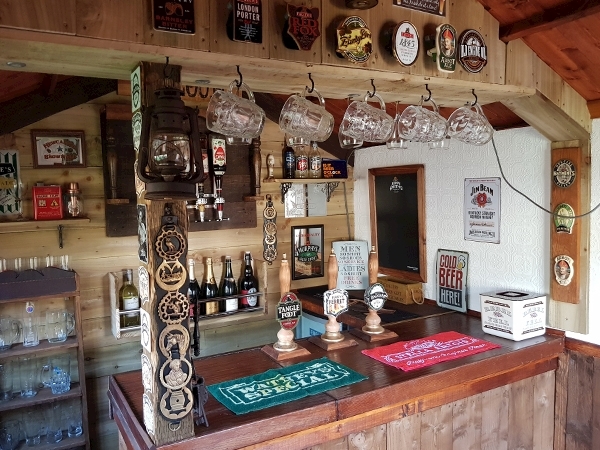 It is essential that this garden shiplap apex shed is assembled strictly in accordance with the instructions supplied on a firm and level base constructed from a suitably durable material. 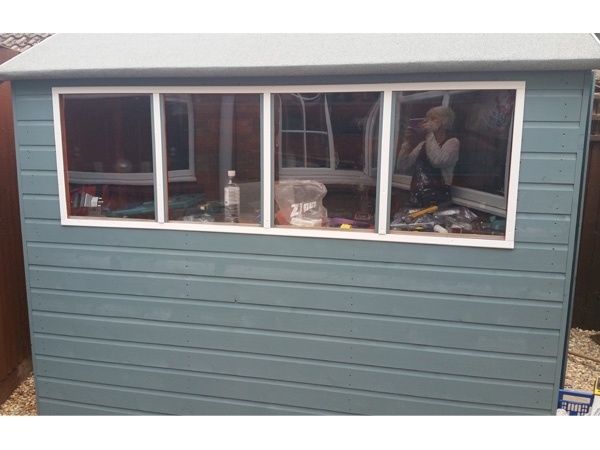 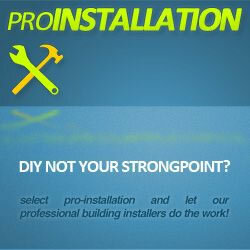 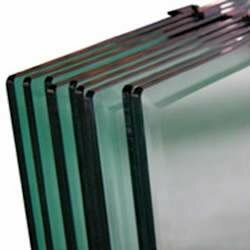 It should also be treated shortly after assembly and then annually thereafter with an appropriate high quality preservative and all glazing units must be sealed, inside and out, with silicone or other watertight sealant. 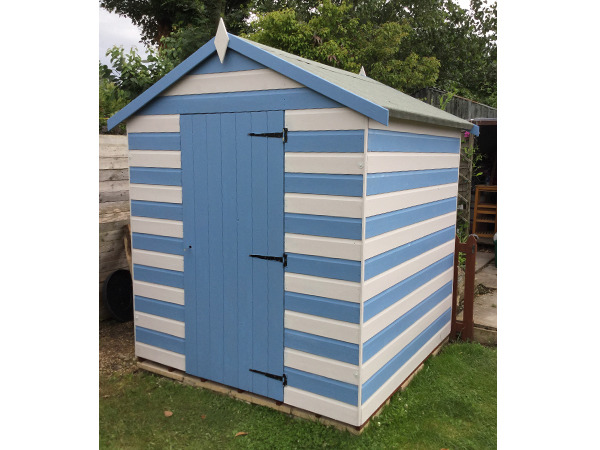 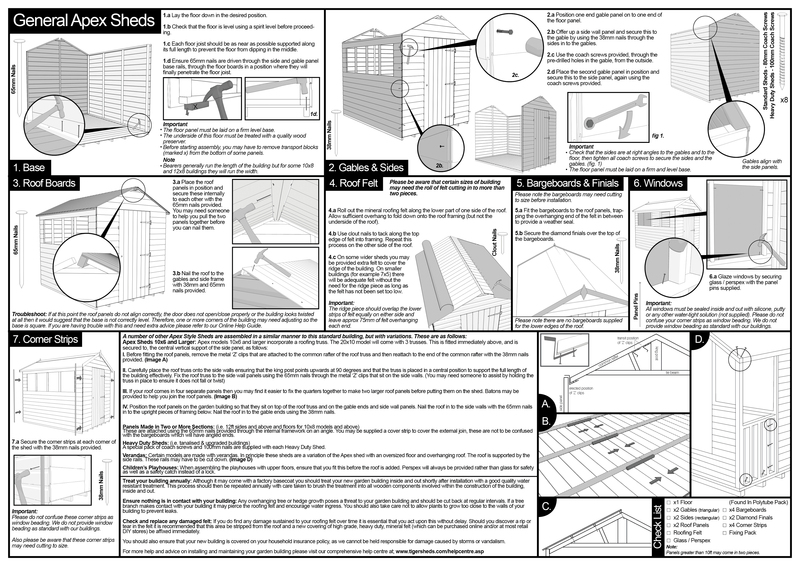 For more information on how to correctly assemble and maintain your shiplap apex wooden shed please consult our comprehensive help centre.